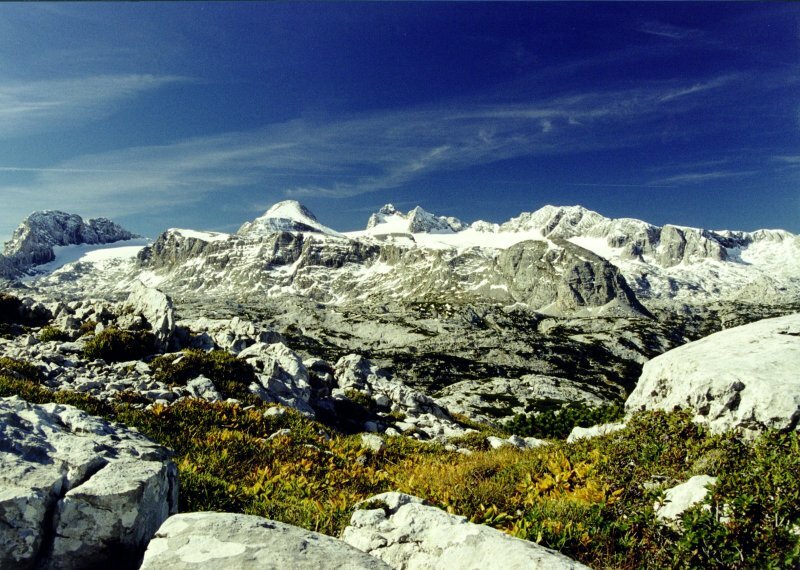 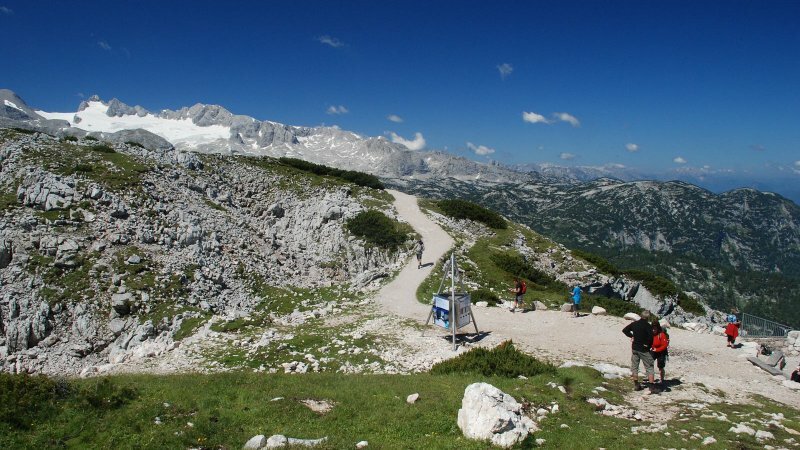 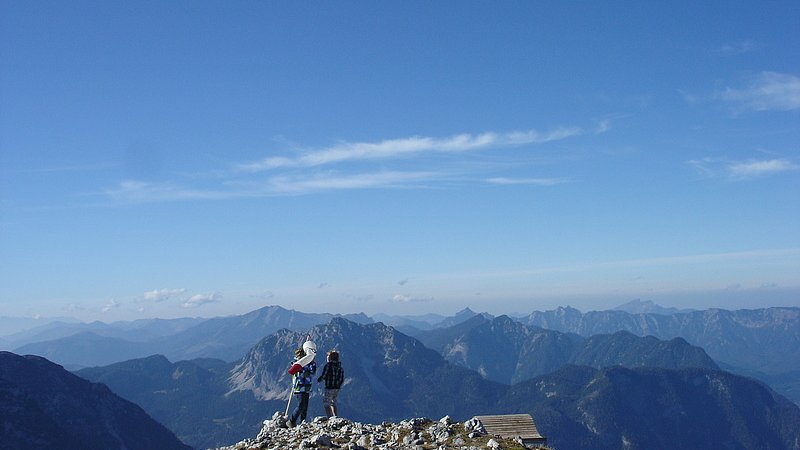 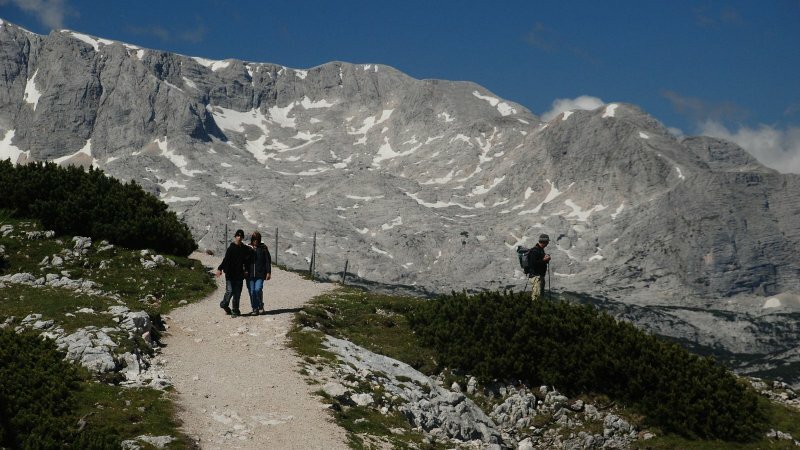 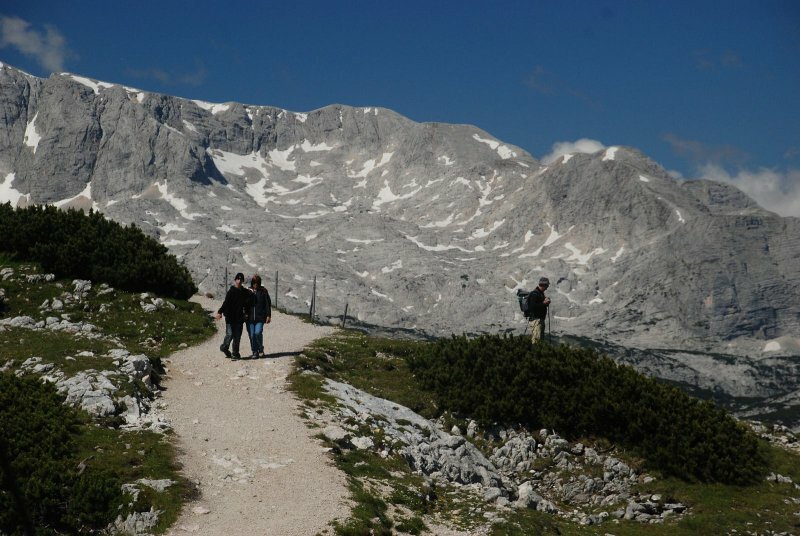 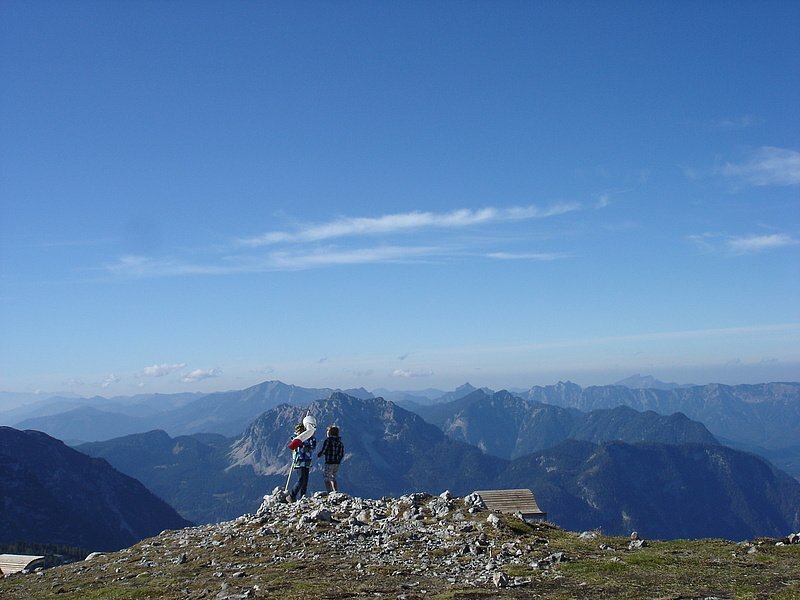 The extensive karst plateau of the Dachstein Hiking world accommodates plenty of enjoyable hiking routes for all levels. 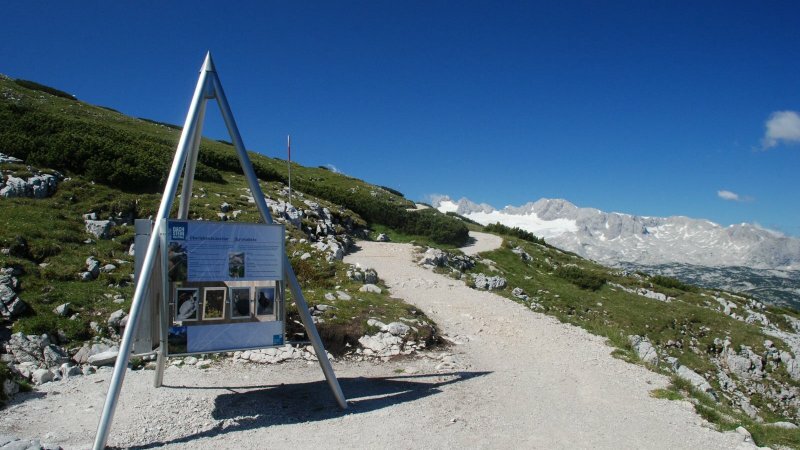 A network of well groomed nature trails and footpaths covers the area from the valley station at Obertraun to the high-altitude ice-fields. 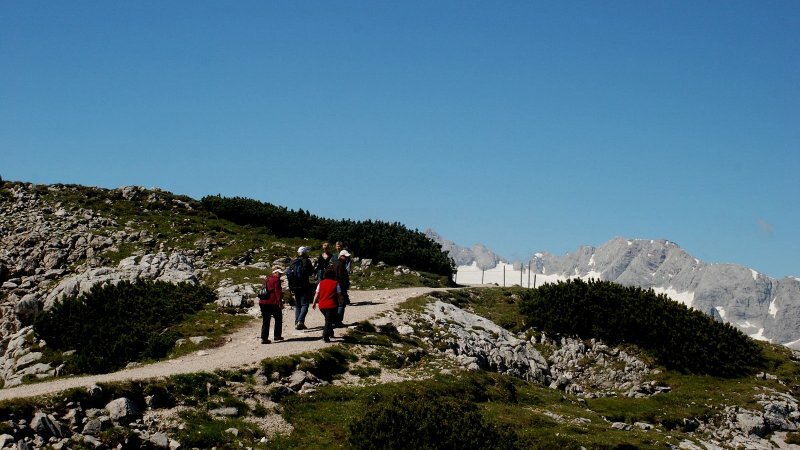 Our nature trails are designed to introduce their users to exciting information about the surrounding plateau, fauna and flora. 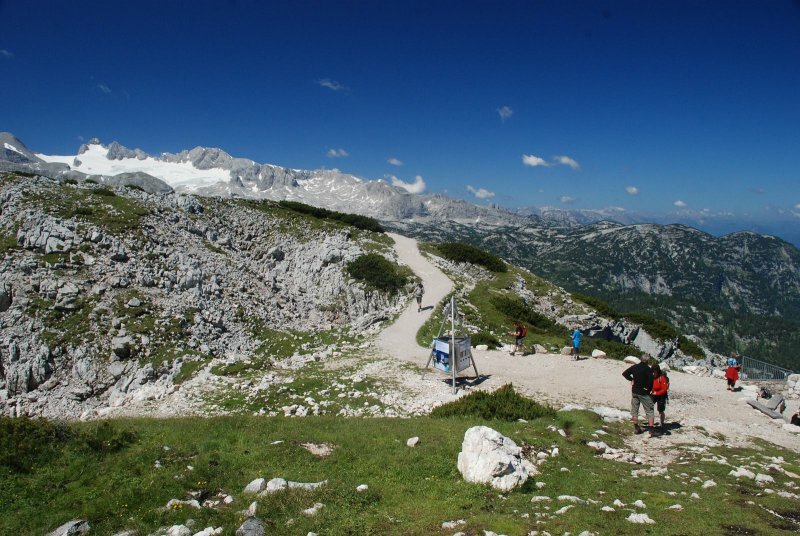 Typical plateau features are the omnipresent karst patterns which result from water dissolving the (Dachstein) limestone. 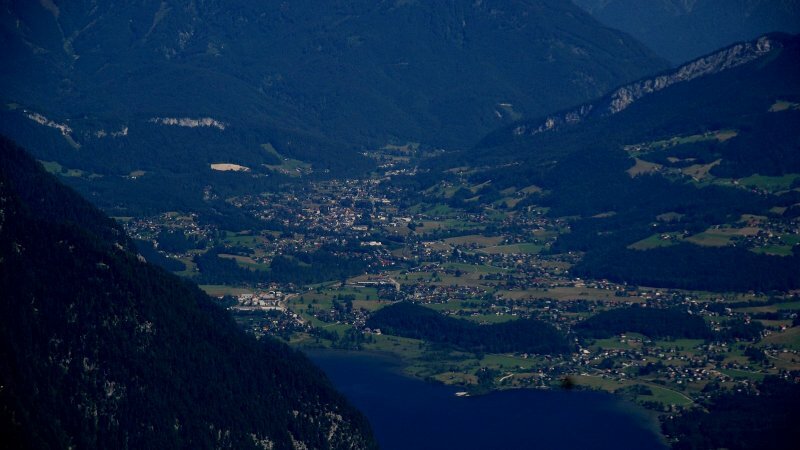 Characteristic karren and funnel-shaped sinkholes (dolines) - which formed prior to the Ice Ages - cover the rugged surface. 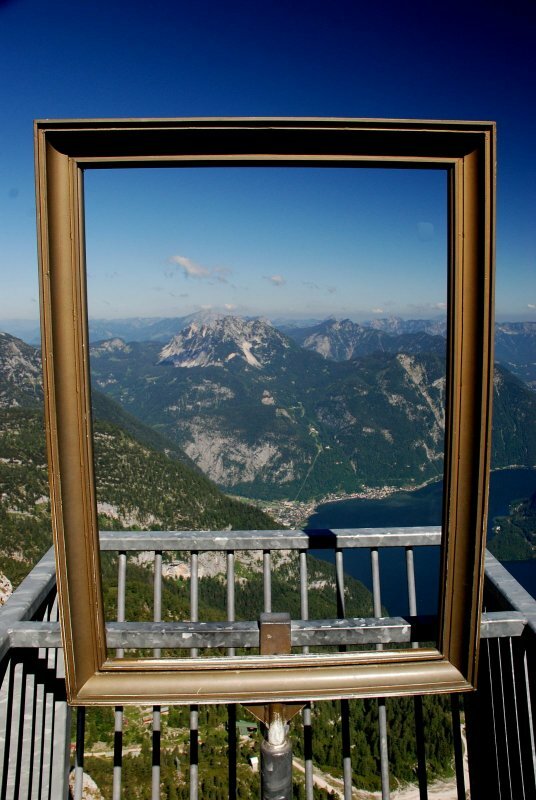 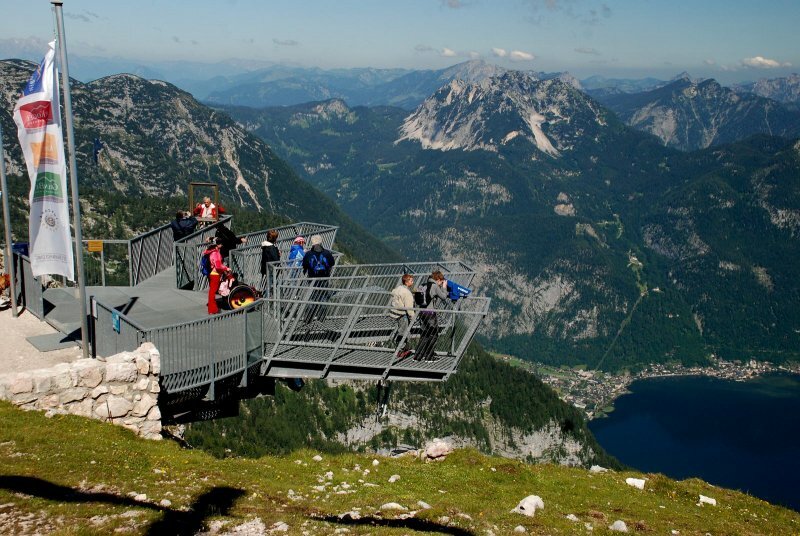 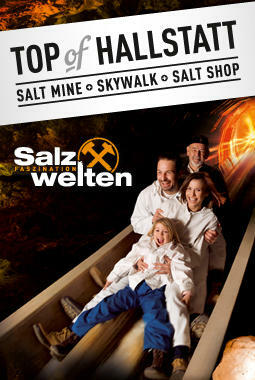 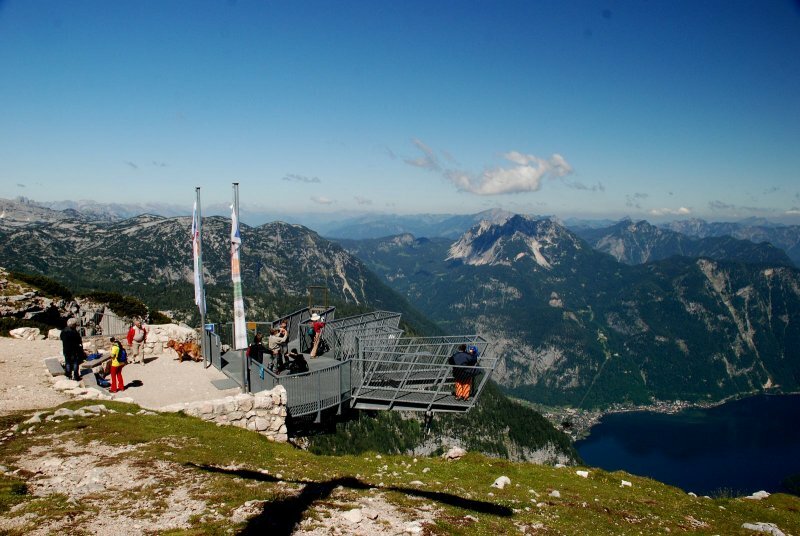 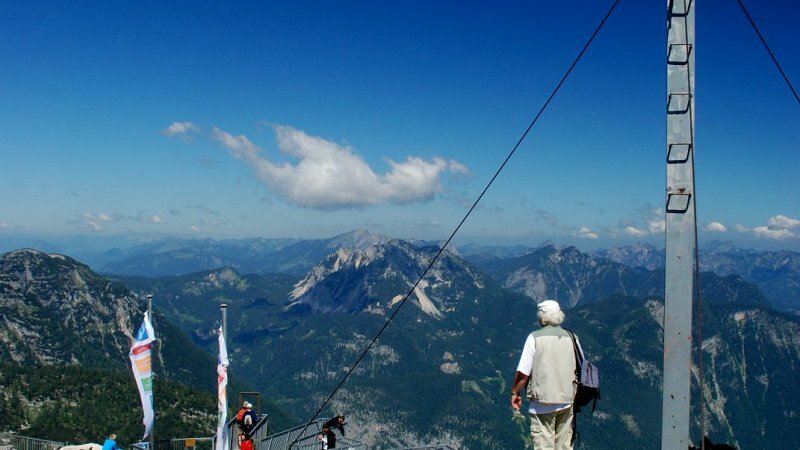 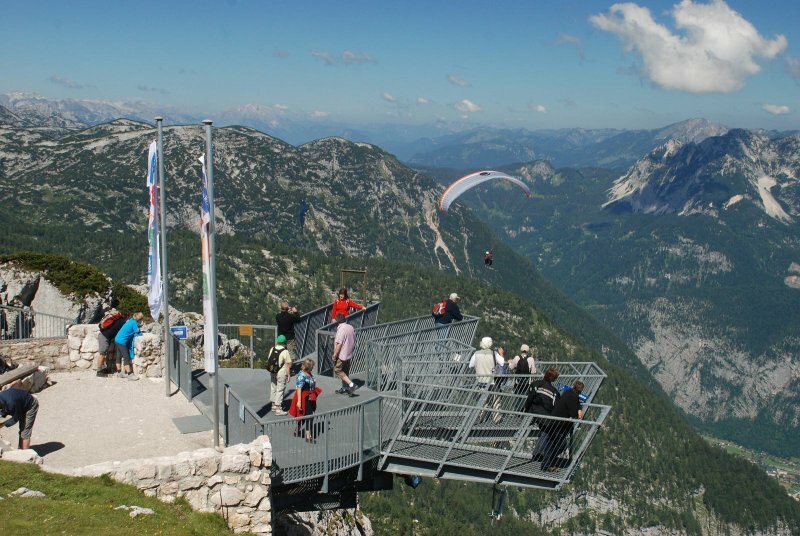 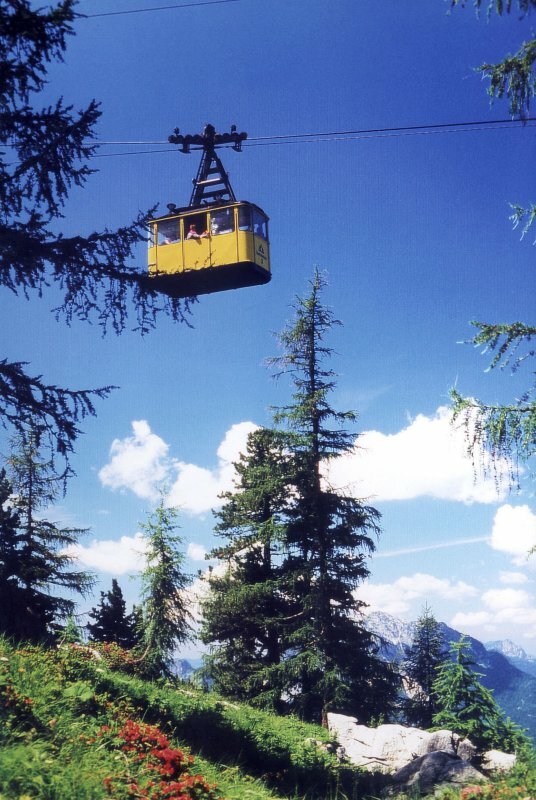 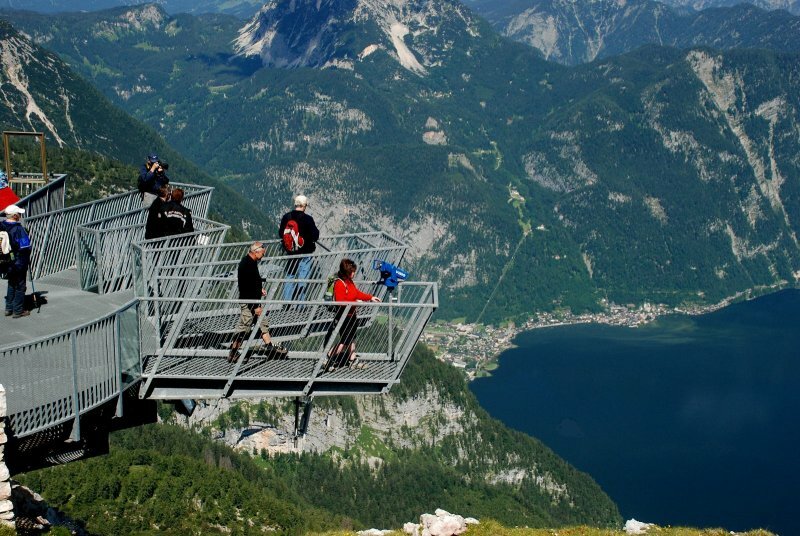 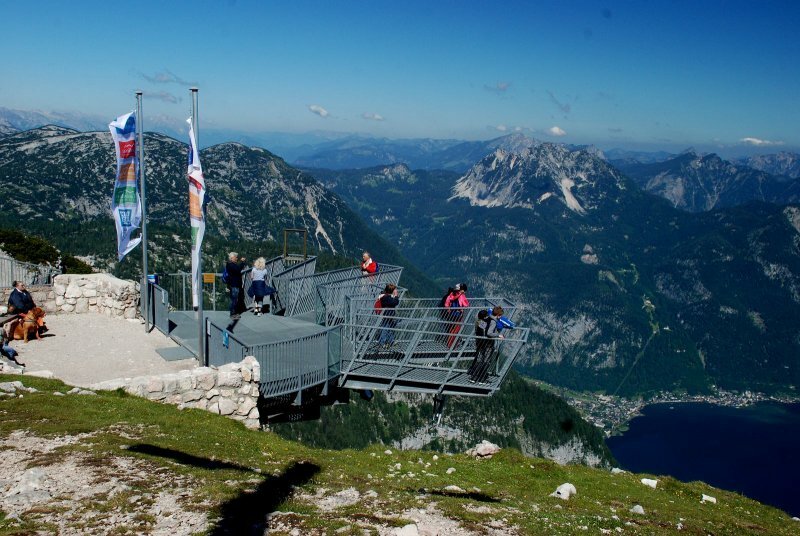 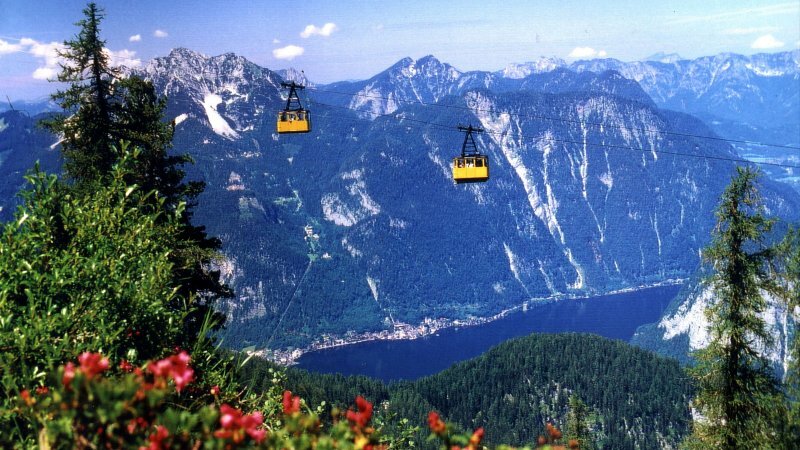 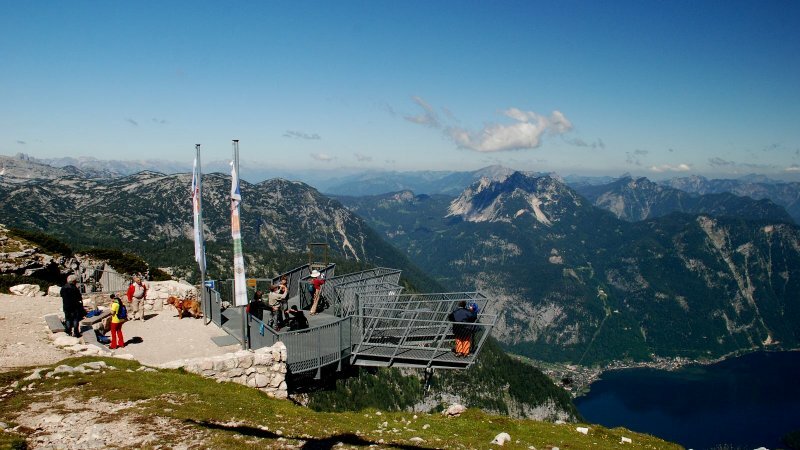 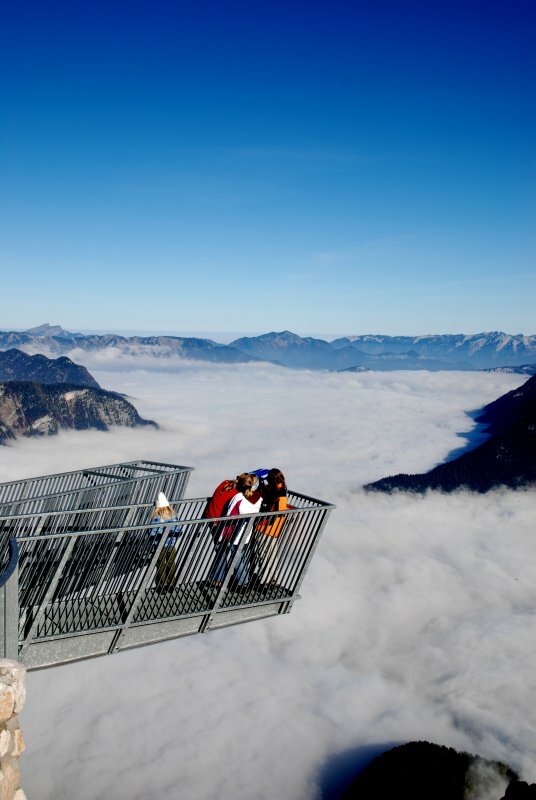 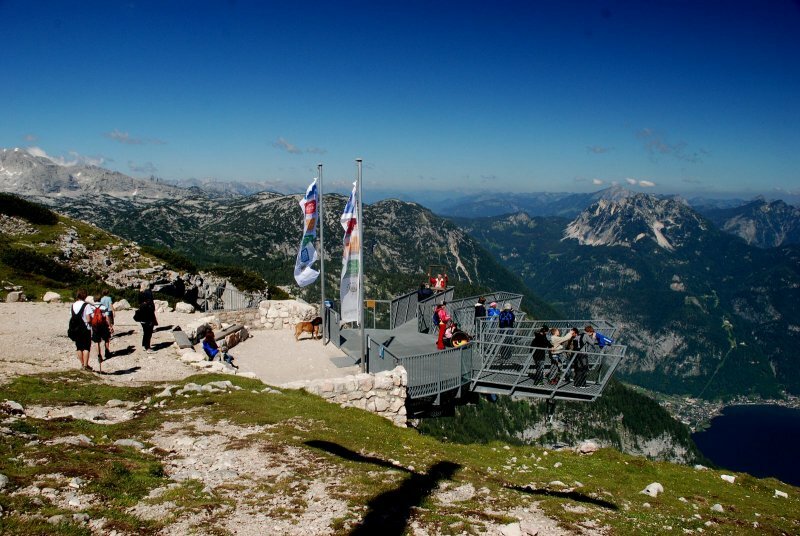 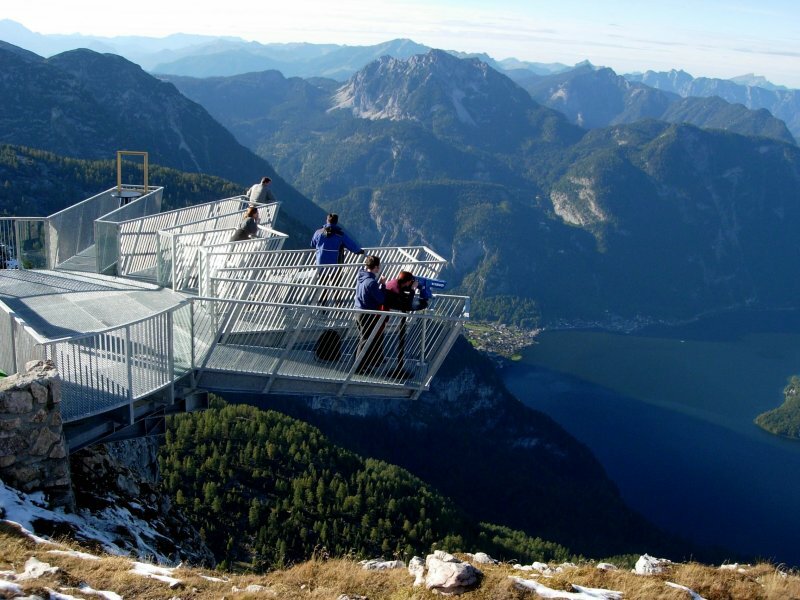 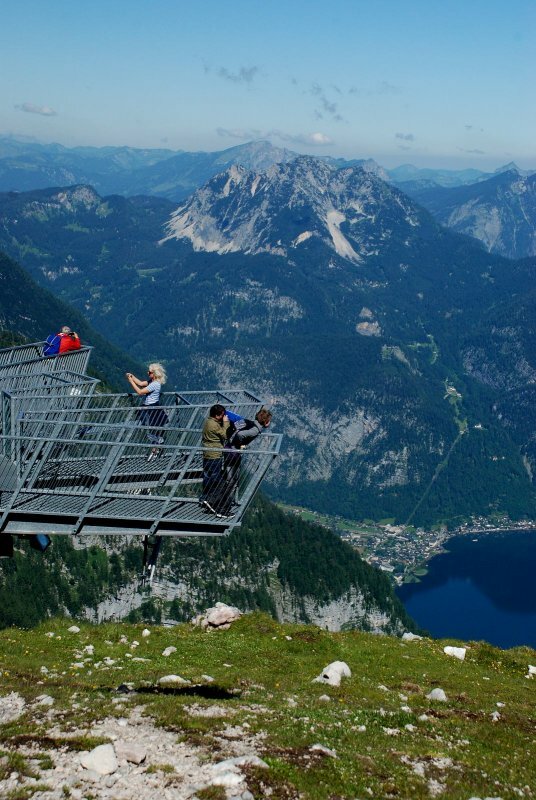 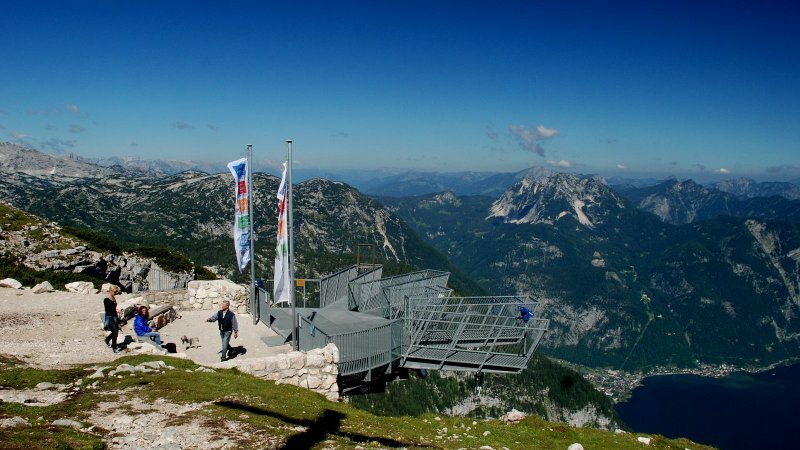 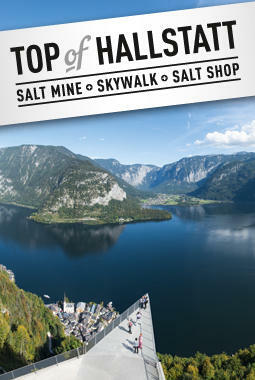 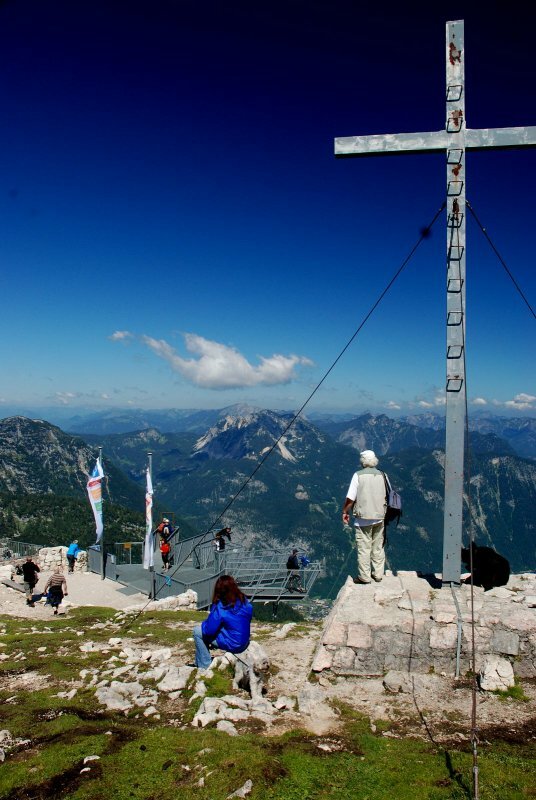 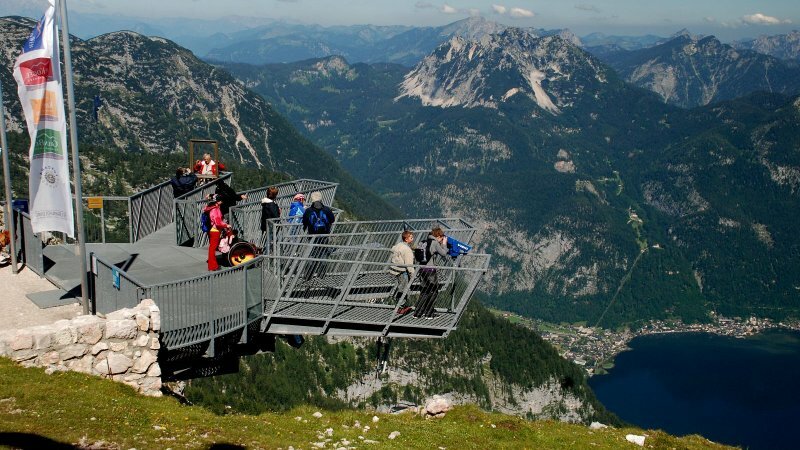 The Dachstein World Heritage is accessible via three cable car sections. 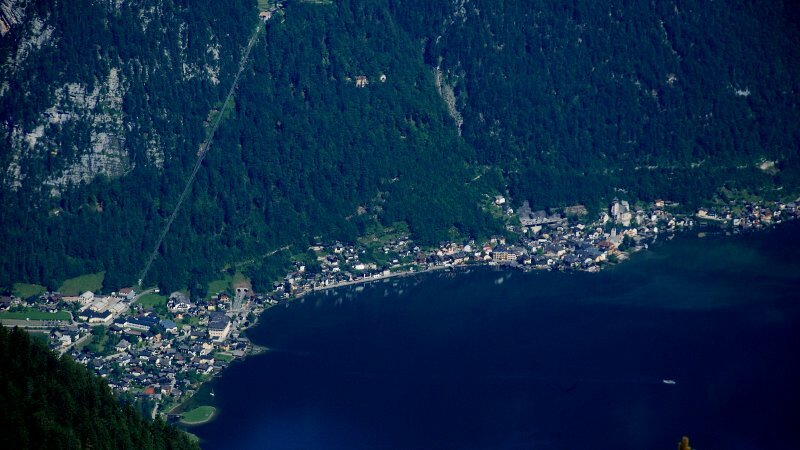 The first section leads from the Obertraun valley station to the Schönbergalm, starting point for the trips to the caves. 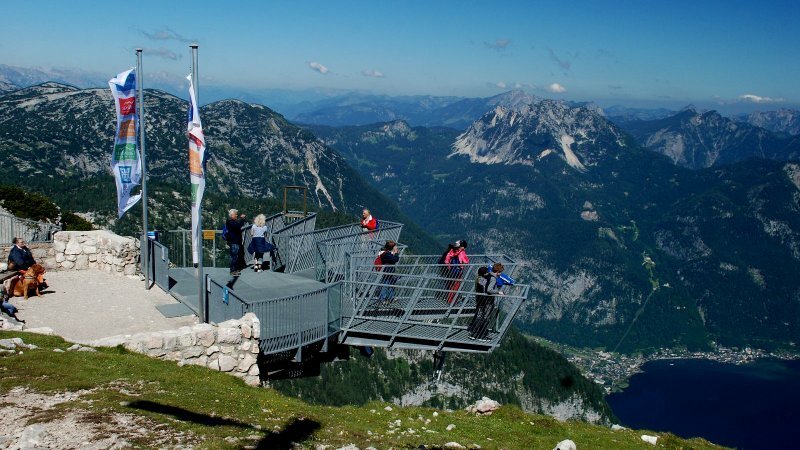 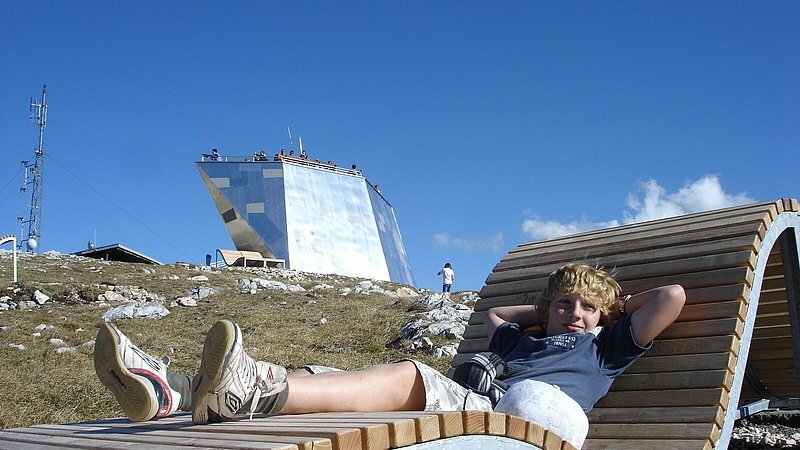 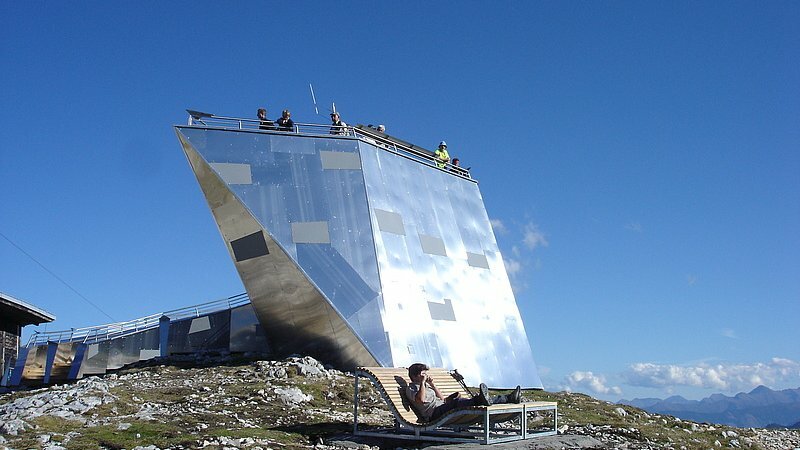 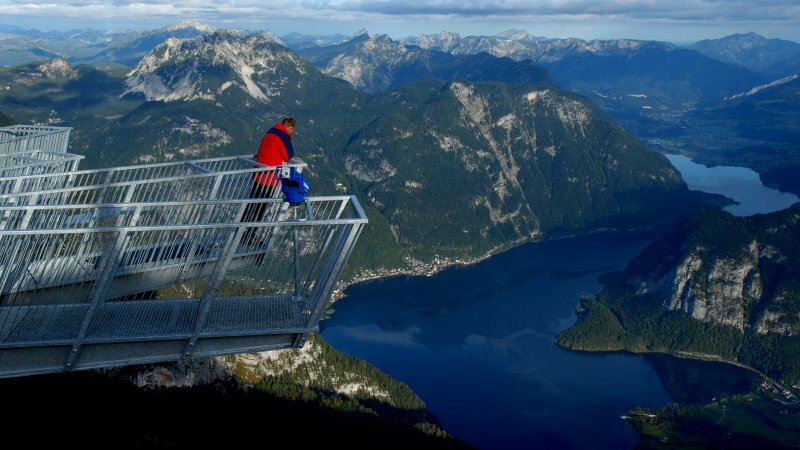 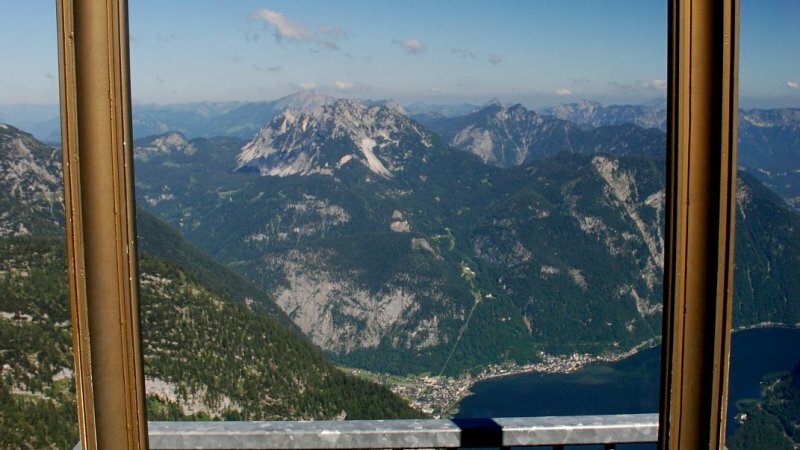 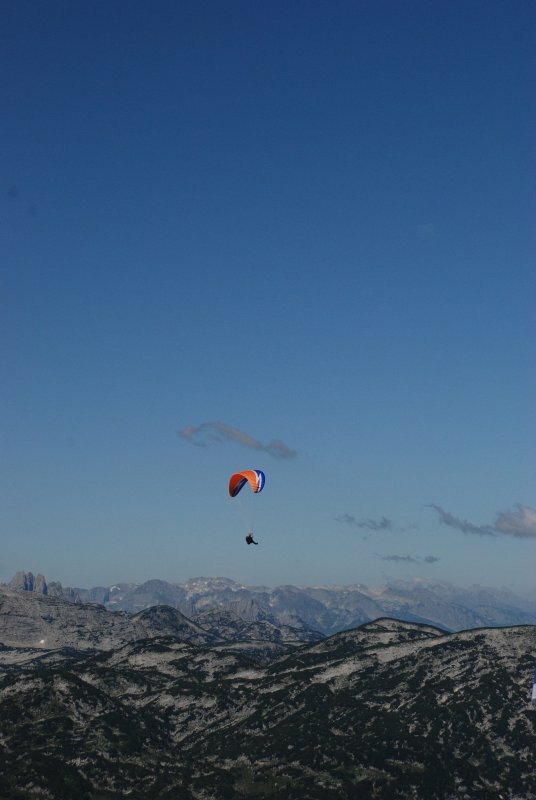 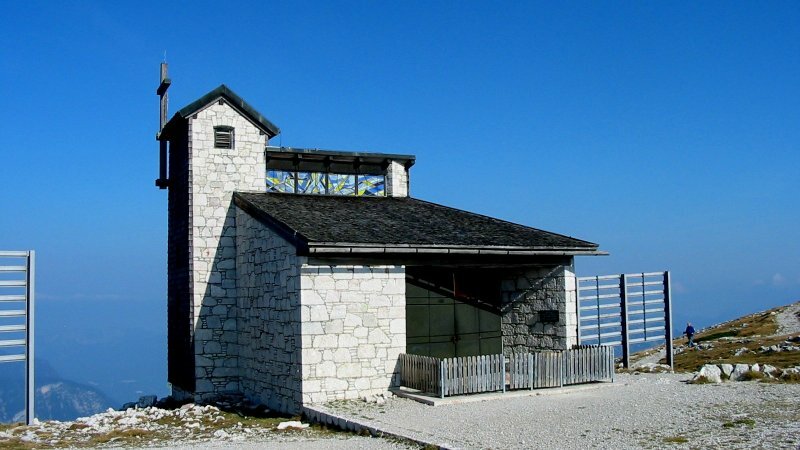 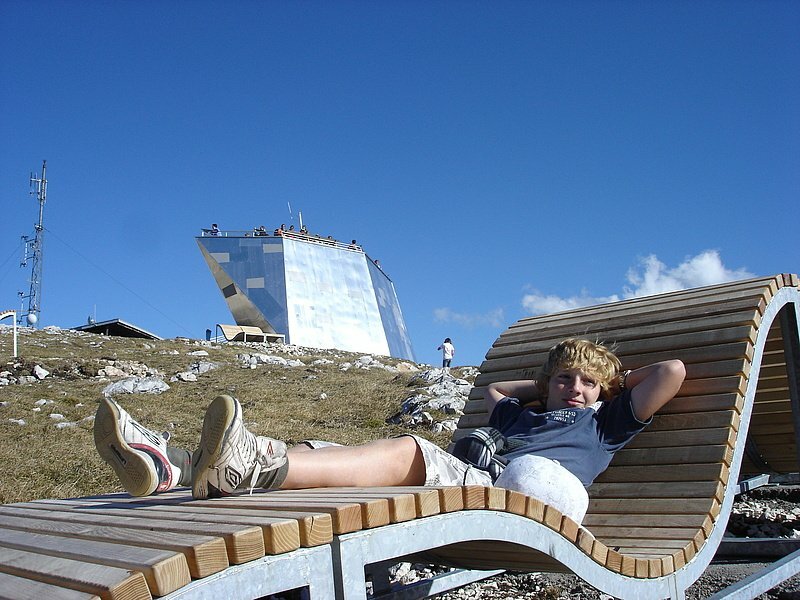 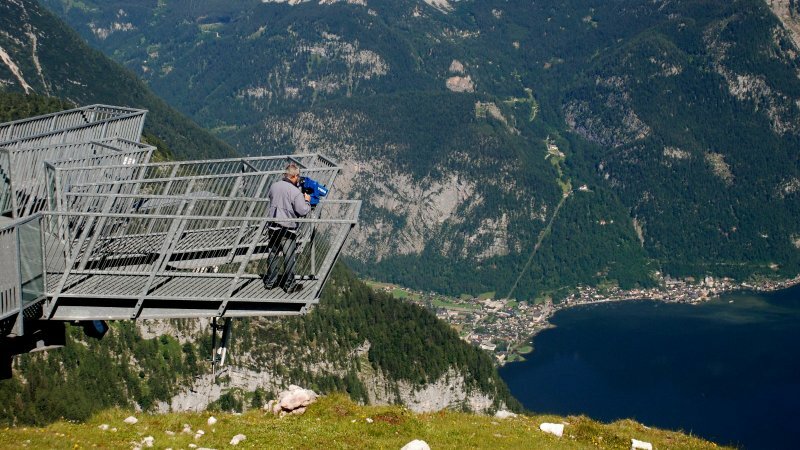 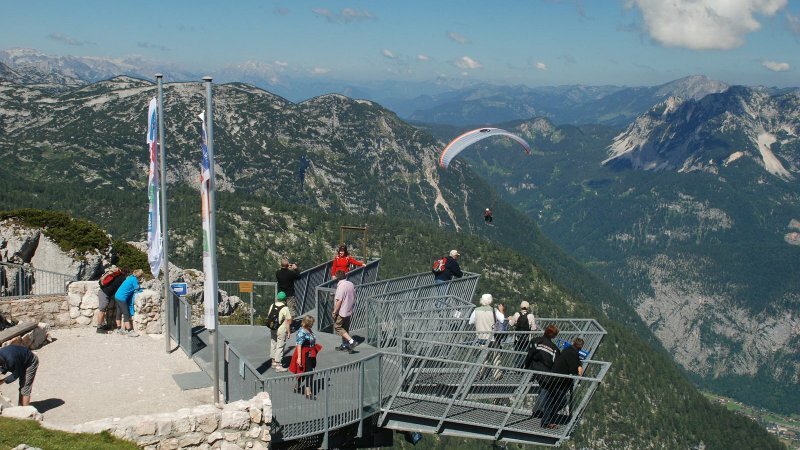 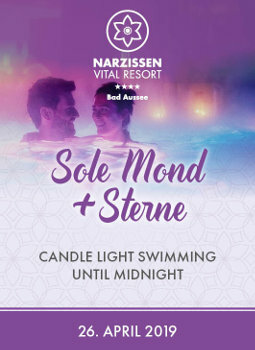 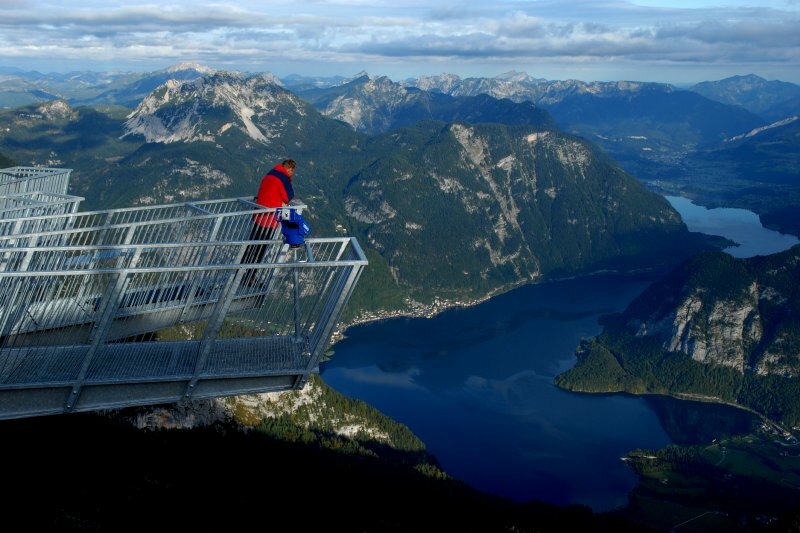 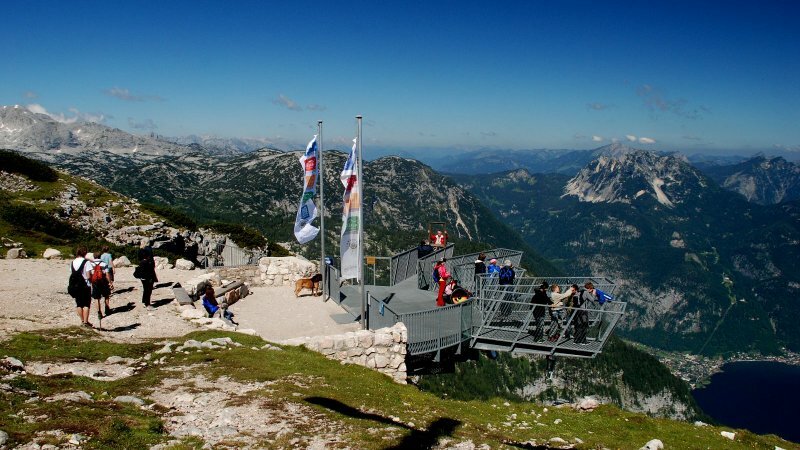 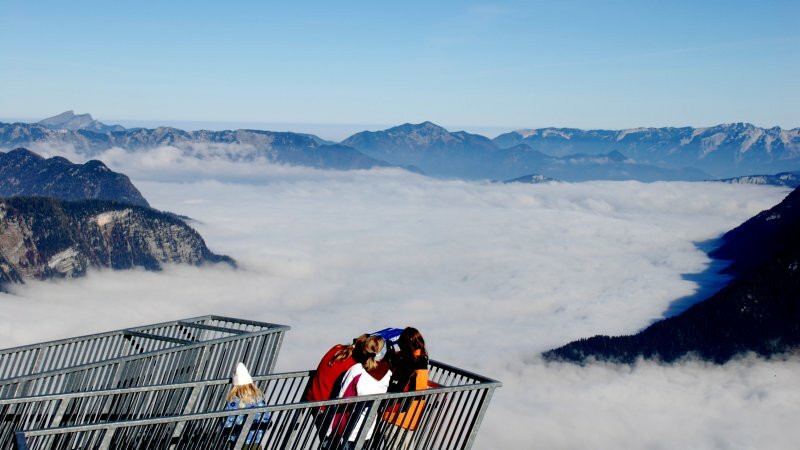 The second section connects with Krippenstein mountain, more than 2.000 m high, which features an outstanding view of the Dachstein glacier and the karst plateau. 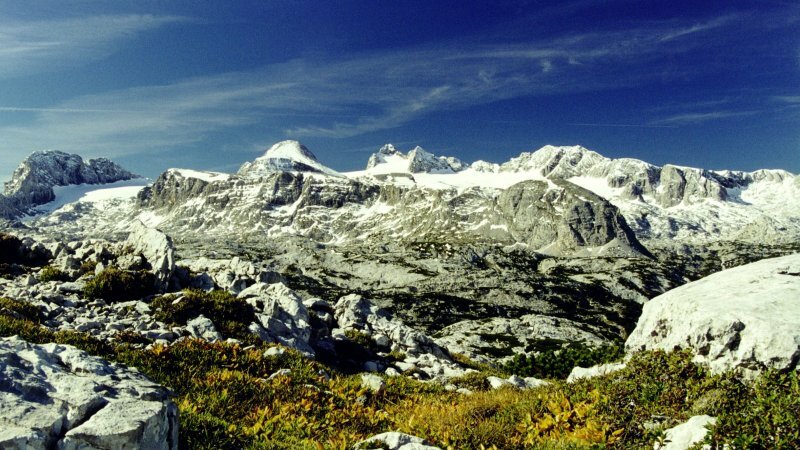 The third section leads downhill to the splendid ‘Gjaidalm', an alpine pasture and starting point for many interesting hiking destinations. 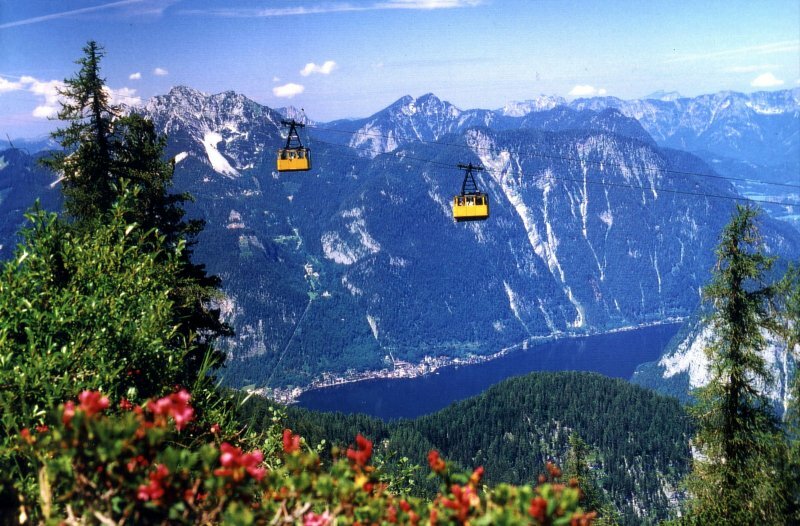 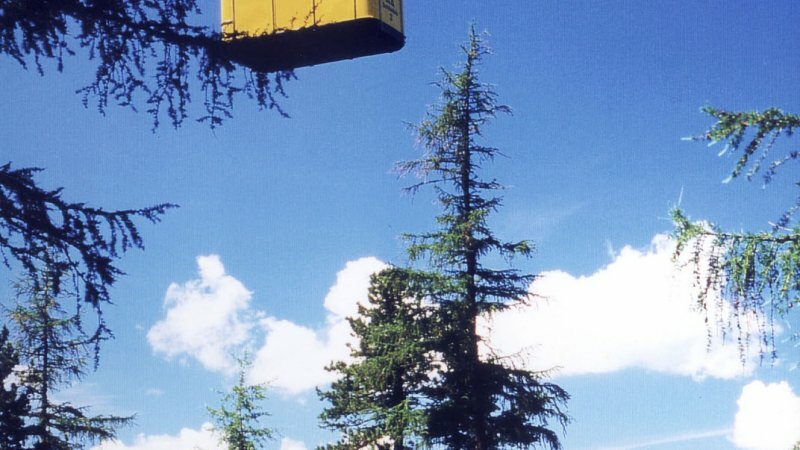 The Krippenstein-ropeways will be reconstructed and adapted in 2007. 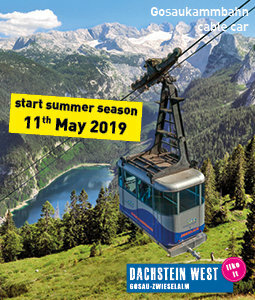 New passenger carriages will replace the old ones and newly designed terminals are part of the modifications to be finished at the end of 2007. 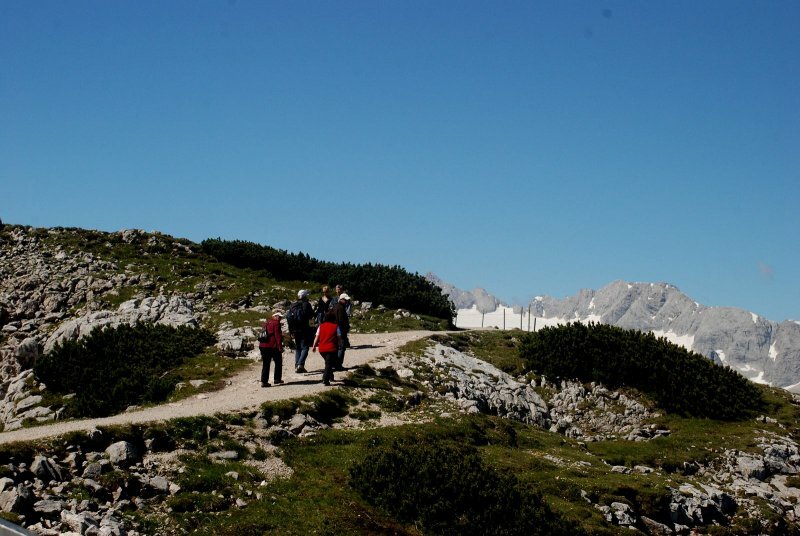 The Heilbronner trail is particularly suitable for families and children fond of hiking. 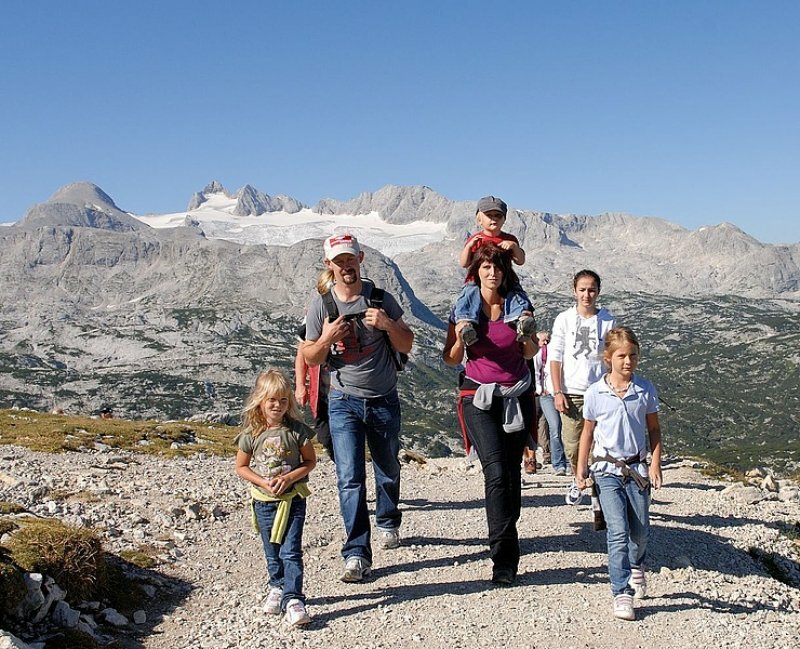 On the recently adapted wide hiking trail many features arouse curiosity and travelling with baby buggies is possible all way. 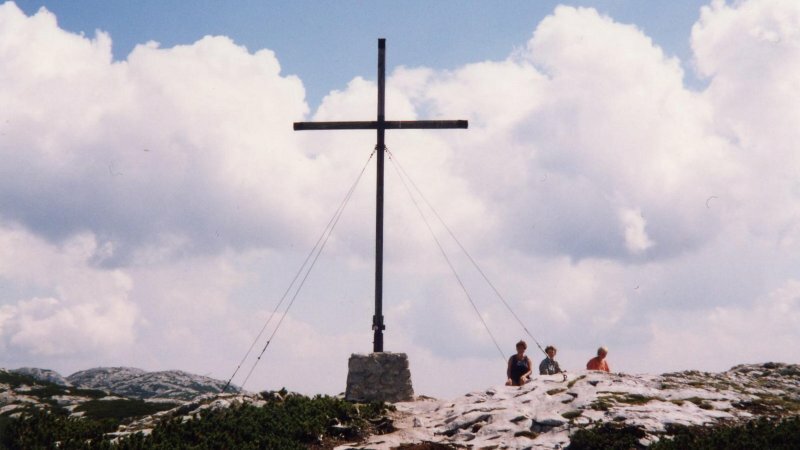 The circular trail leads to the Heilbronner Cross, memorial place to 13 persons falling victim to a mountain tragedy in 1954. 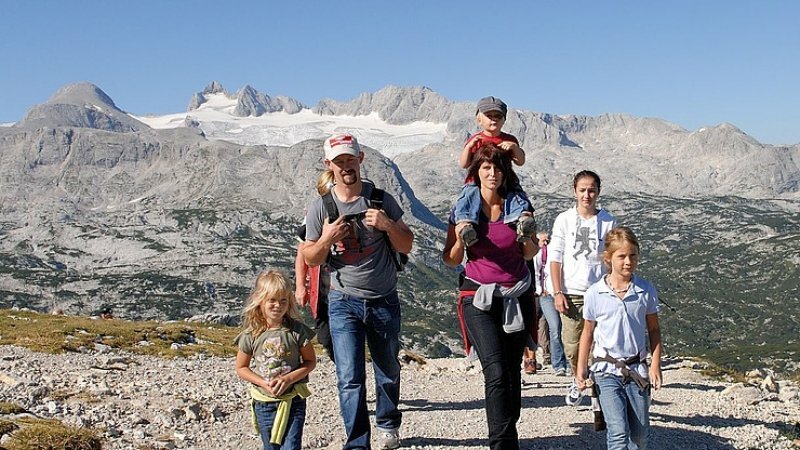 A trip to the ‘cattle footprints', site of great fossils, is particularly informative and rewarding. 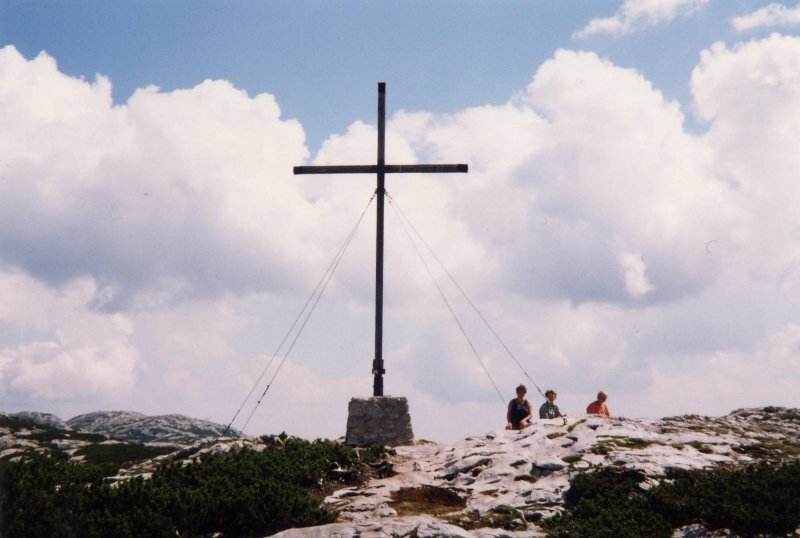 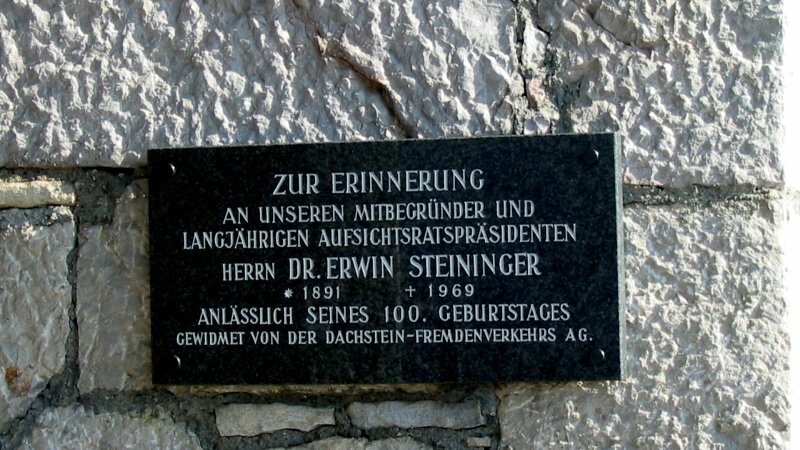 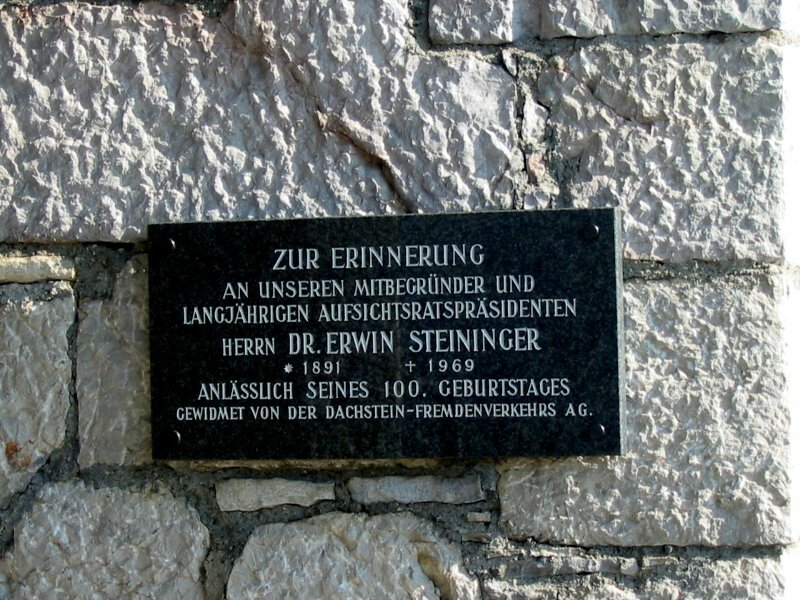 The ‘Five Fingers' are the absolute highlight of the newly staged Krippenstein Hiking world. 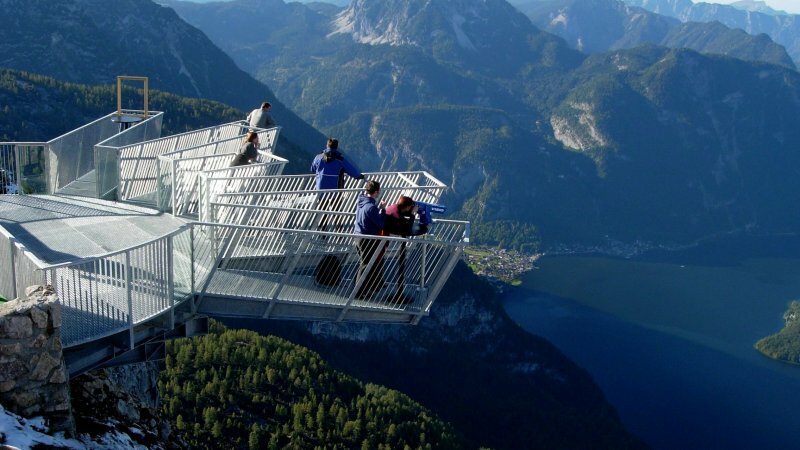 5fingers-shaped, this platform is constructed on the edge of a sheer mountain cliff drop-off, above an abyss, more than 400m deep. 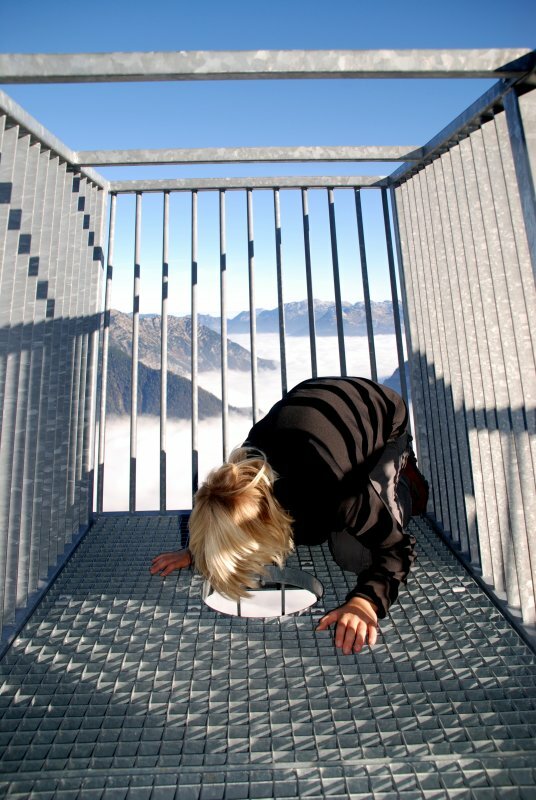 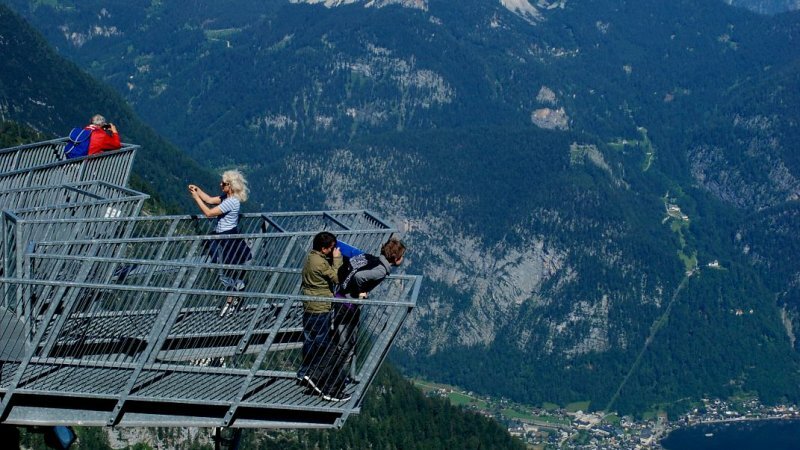 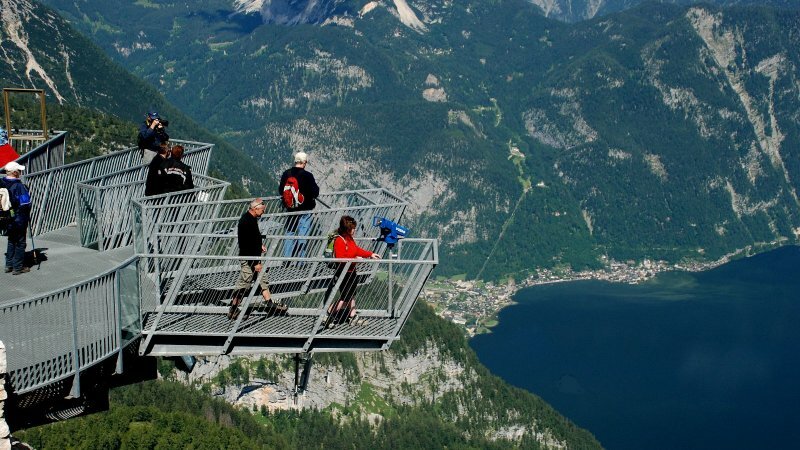 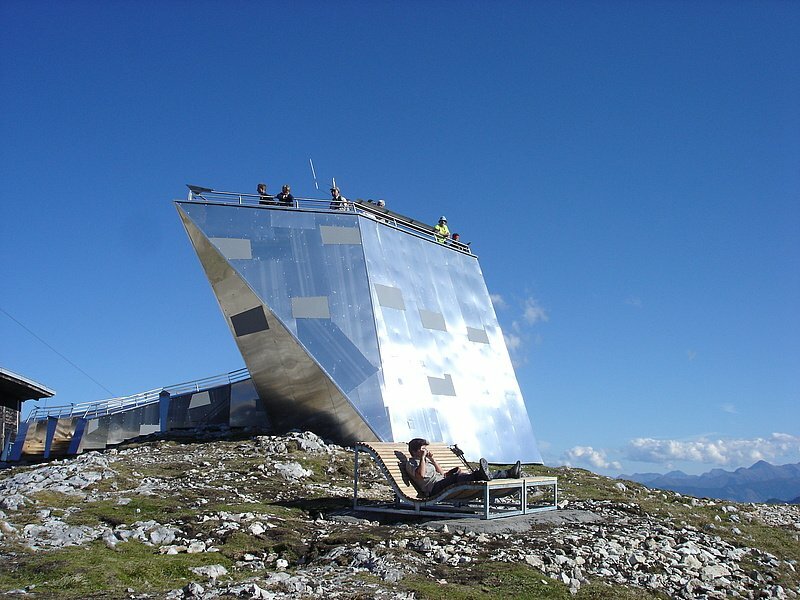 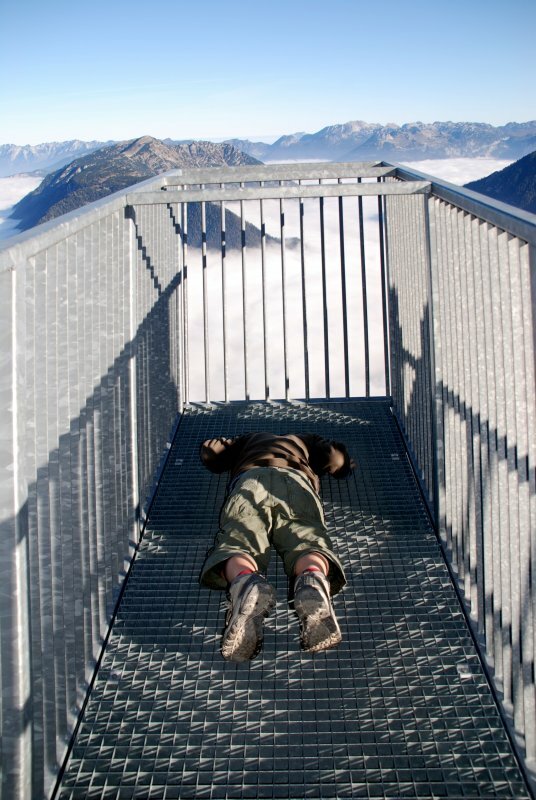 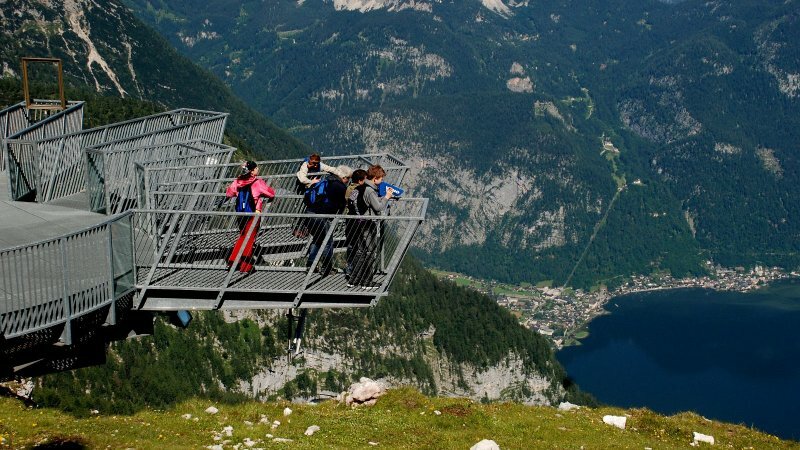 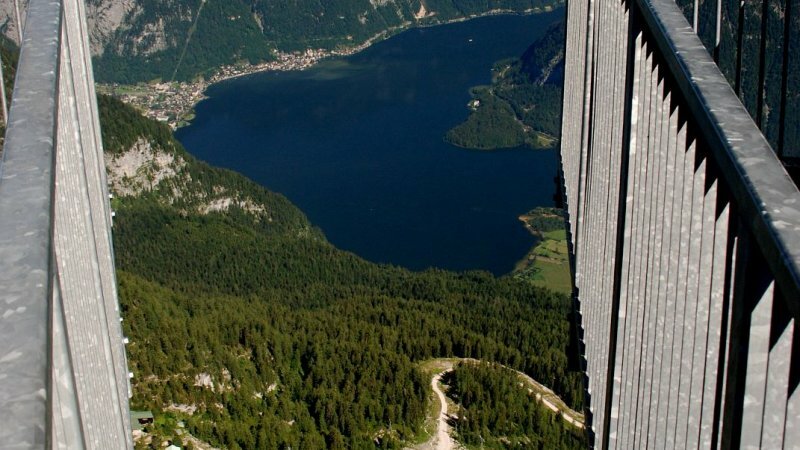 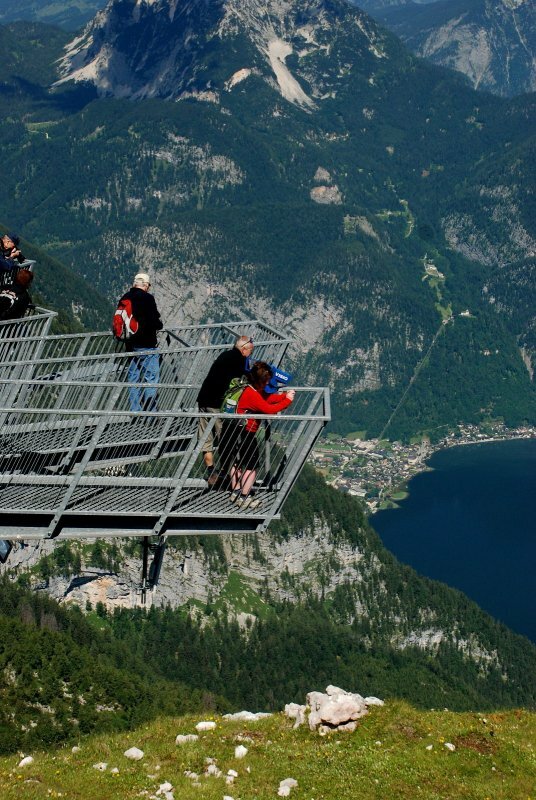 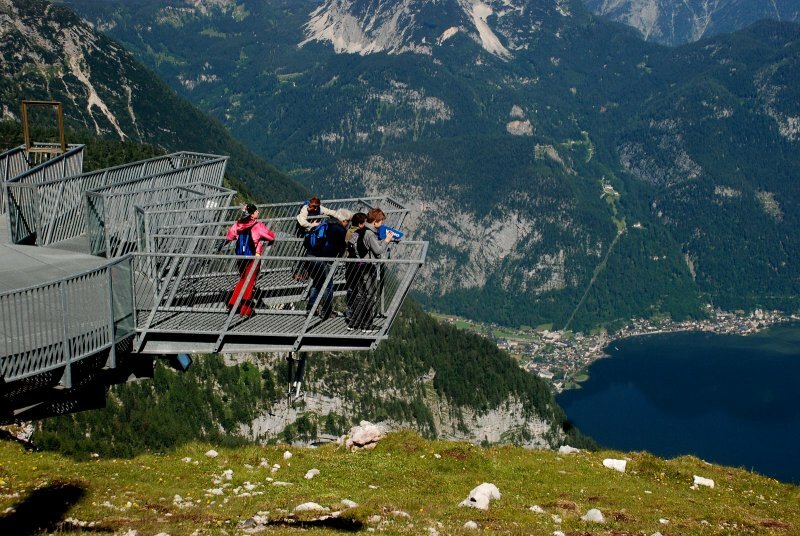 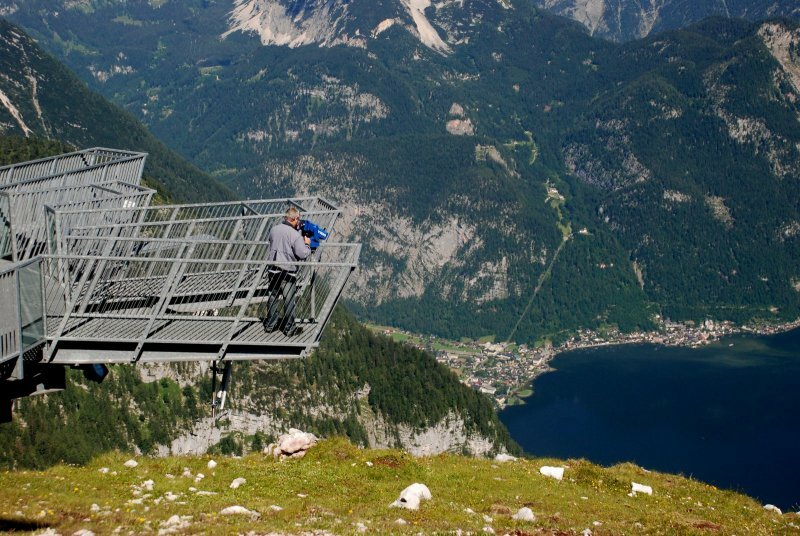 This platform consequently ranks among the most spectacular viewpoints across the Alps. 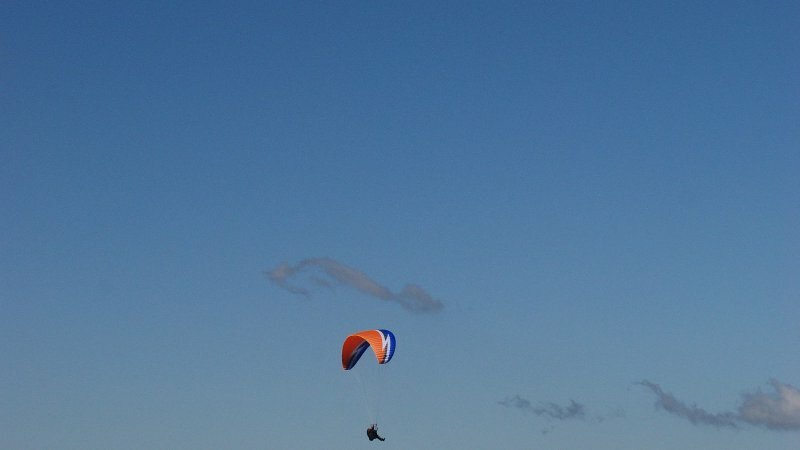 Five stages (fingers), 4x1m, make for outstanding "insights and outlooks". 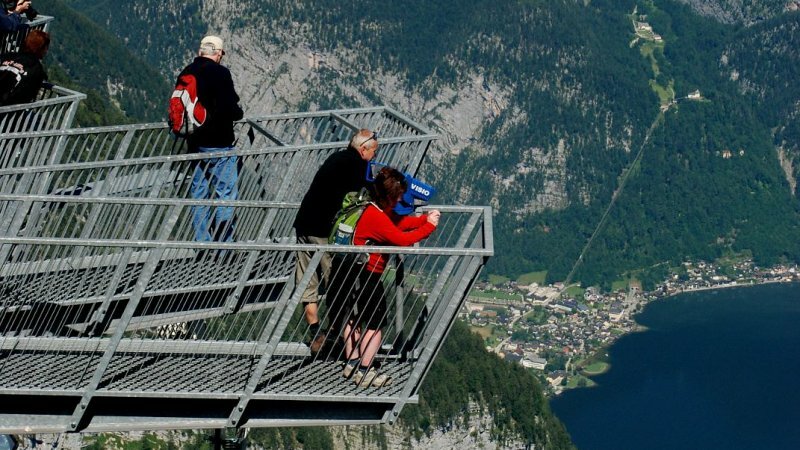 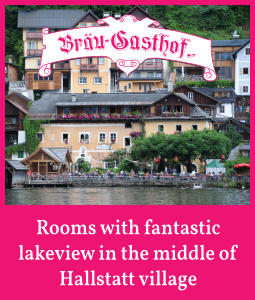 One stage is made of glass; another "finger" provides a baroque-like frame in order to take special World Heritage photos of Hallstatt. 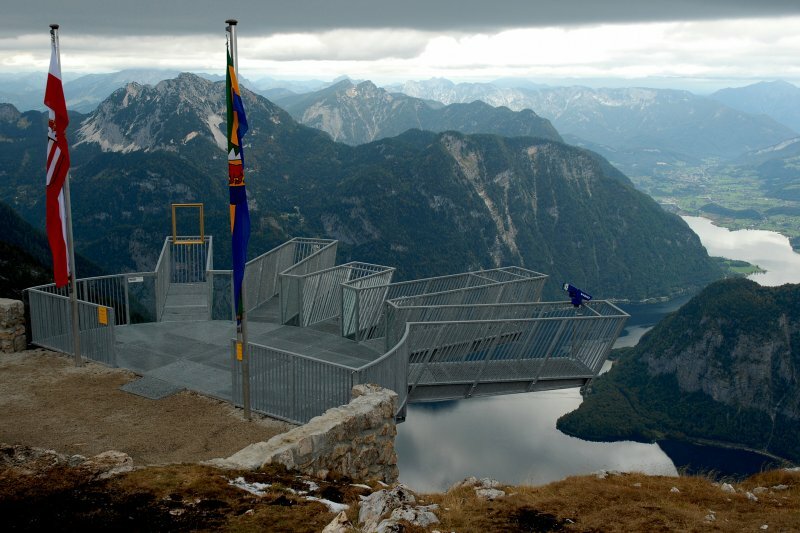 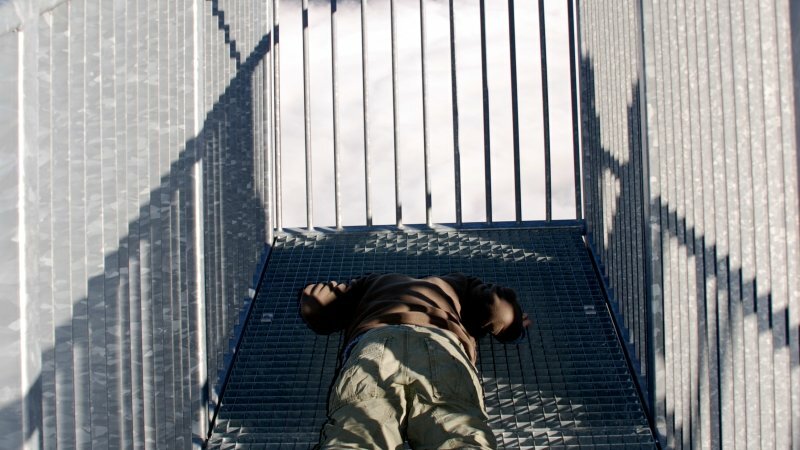 A trampoline - albeit not accessible - on the third stage symbolizes unlimited mountain freedom. 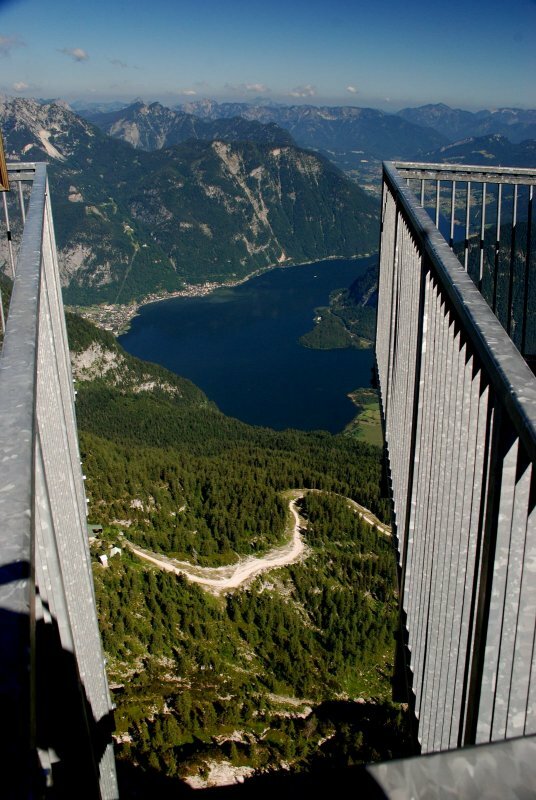 The forth stage is looped in order to allow the ultimate vertical drop gaze. 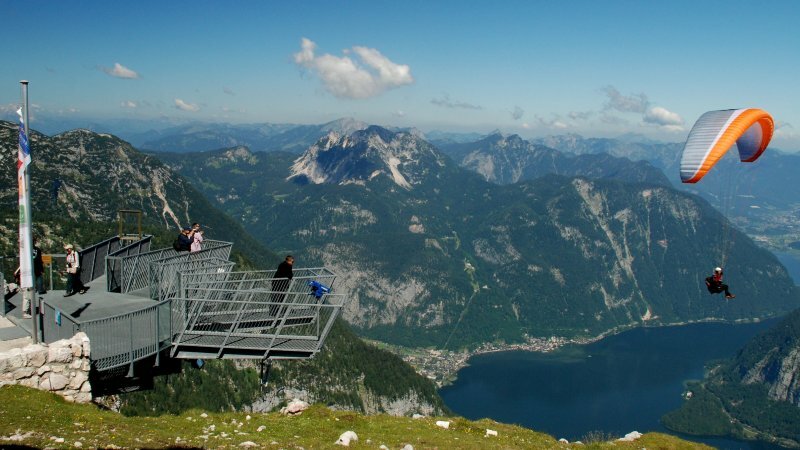 Finally the fifth finger is provided with a long-glass (free of charge) to enable viewers to behold the splendid Salzkammergut mountain scenery at close range. 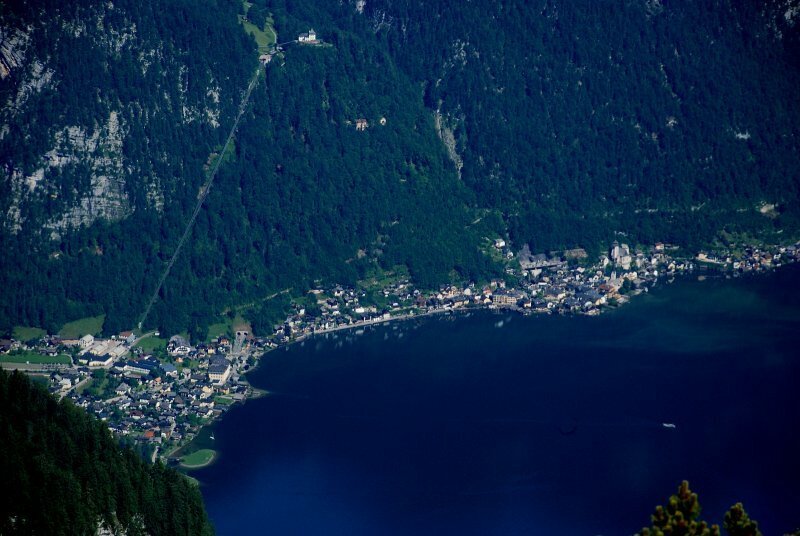 The platform is illuminated until midnight to then be noticed even from distant places. 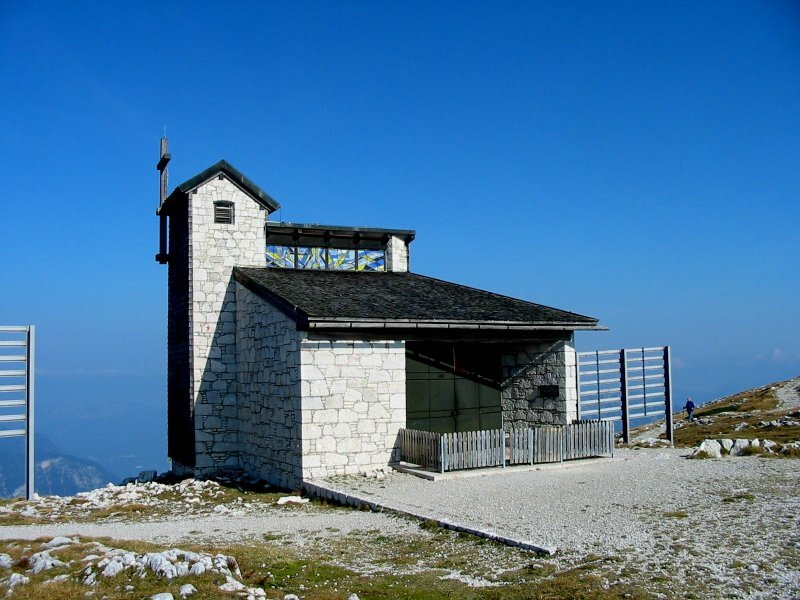 The convenient 15 minutes walk to the view platform (close to the Pioneer Cross) is suitable for almost all visitors. 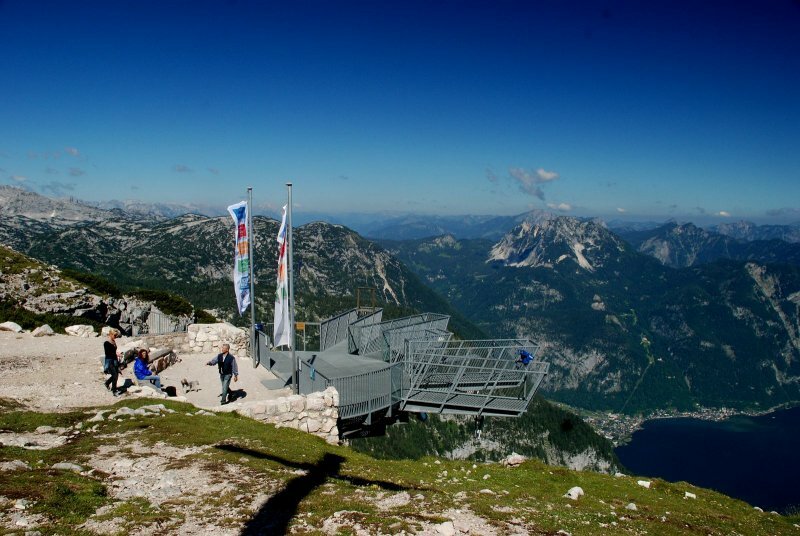 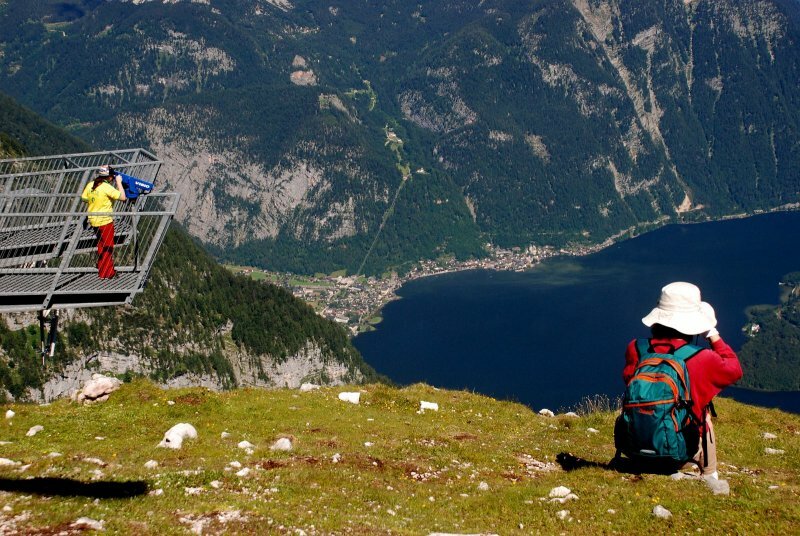 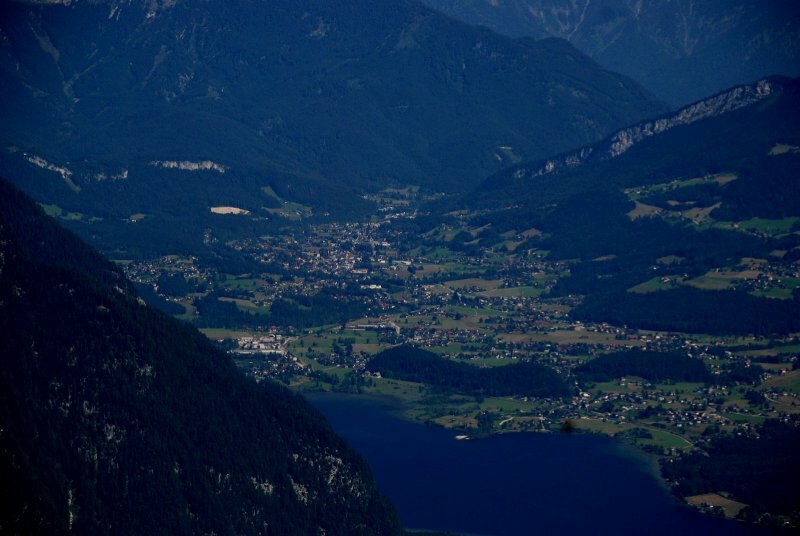 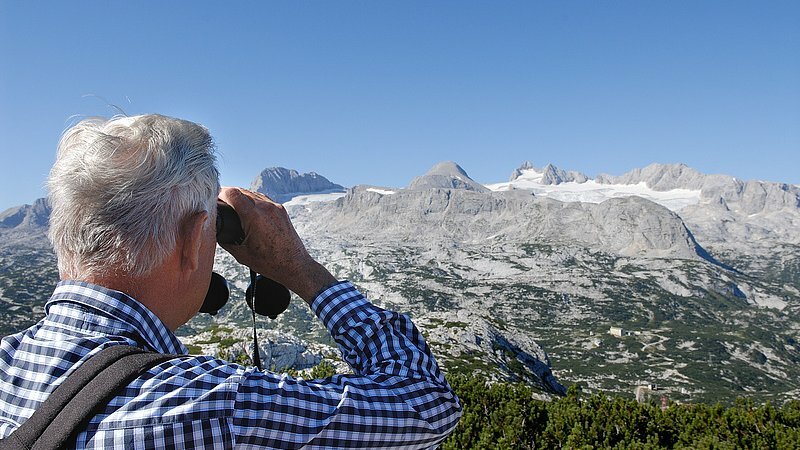 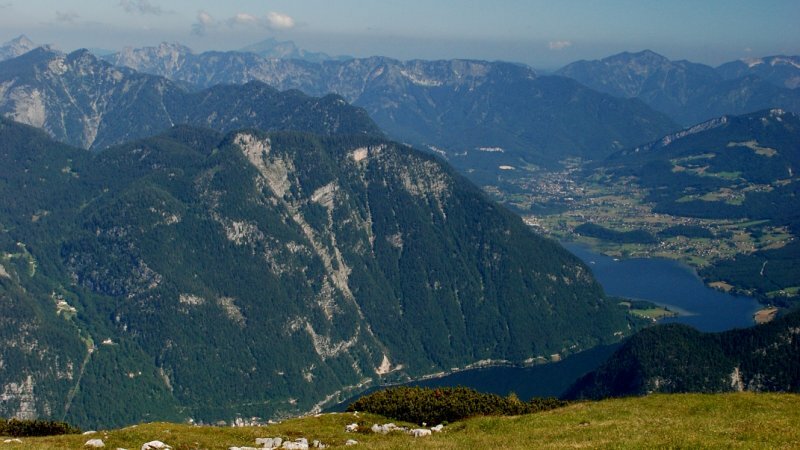 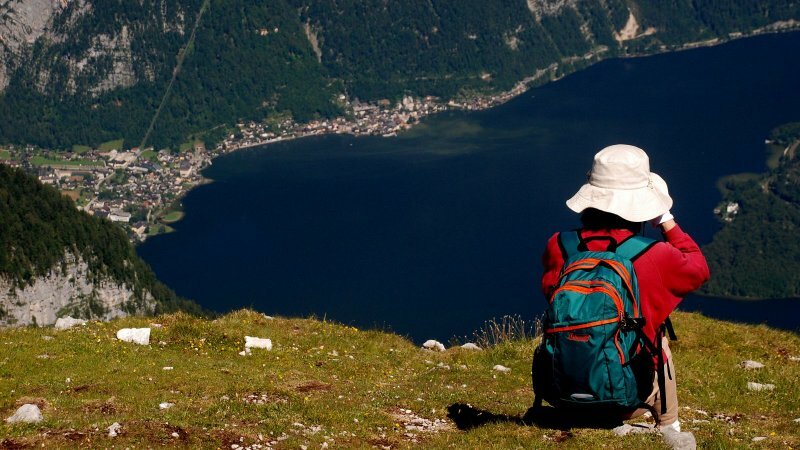 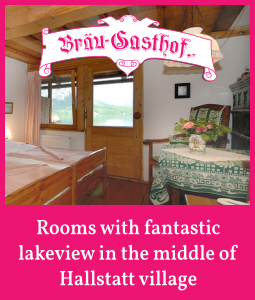 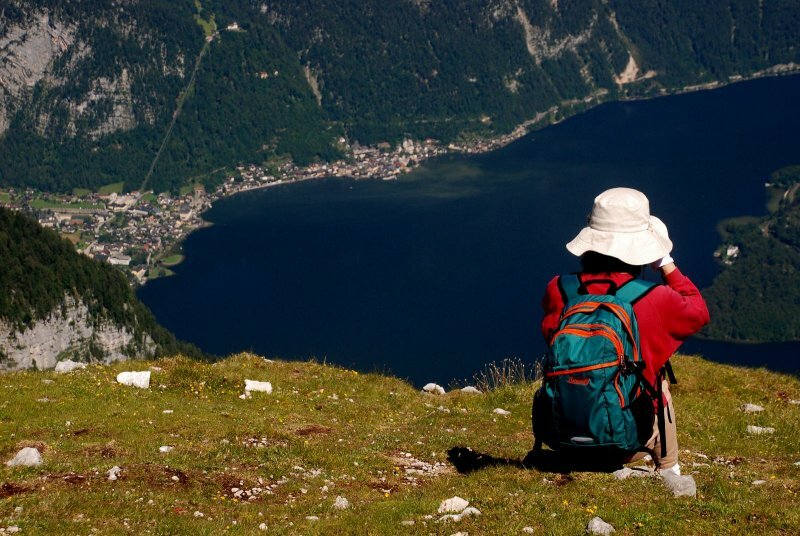 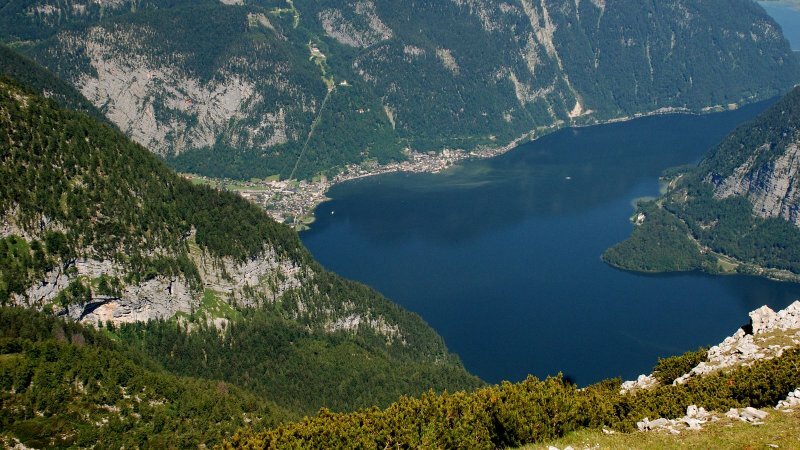 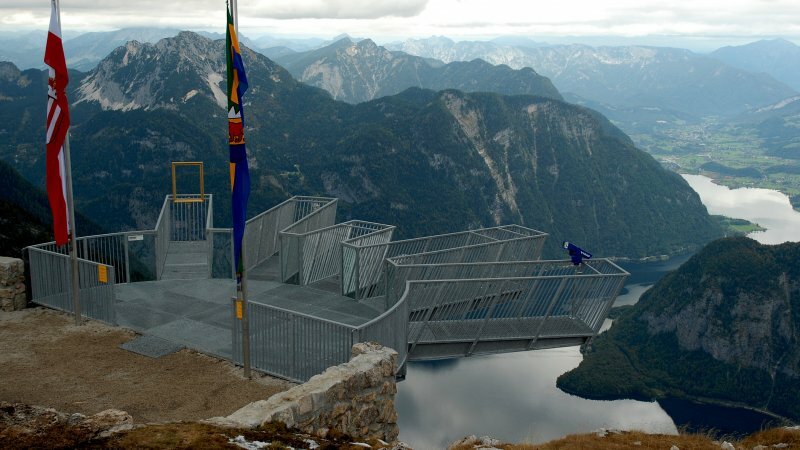 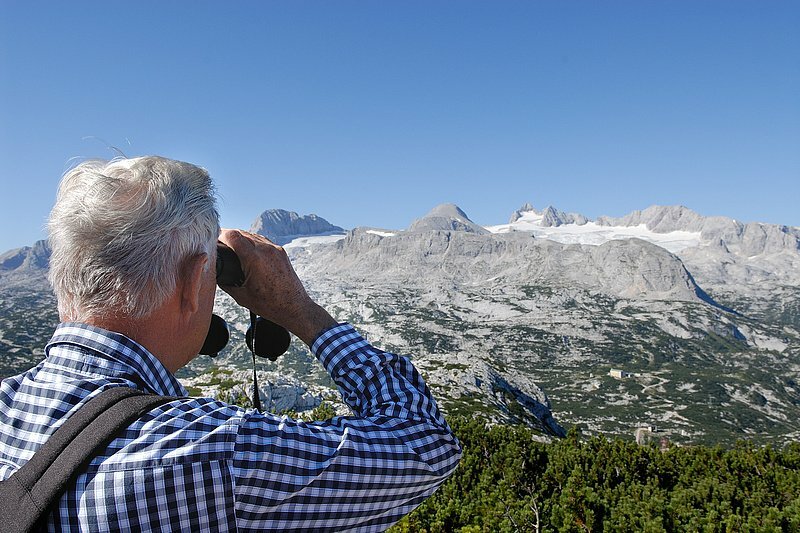 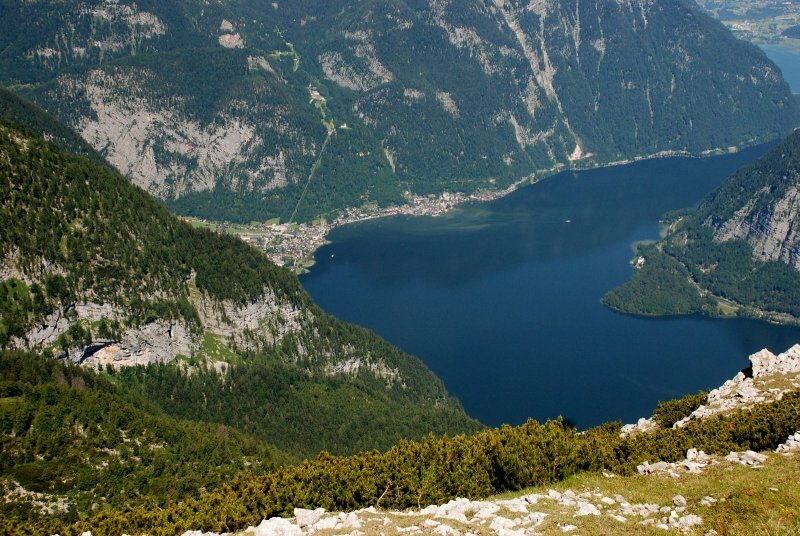 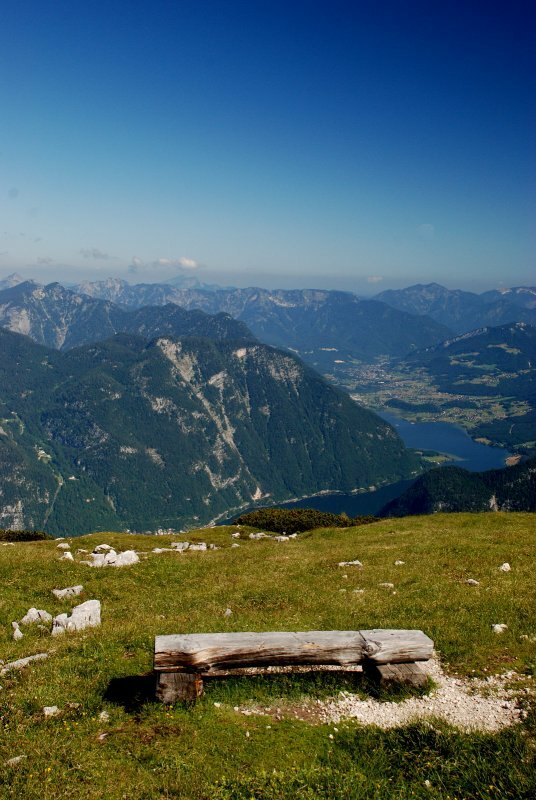 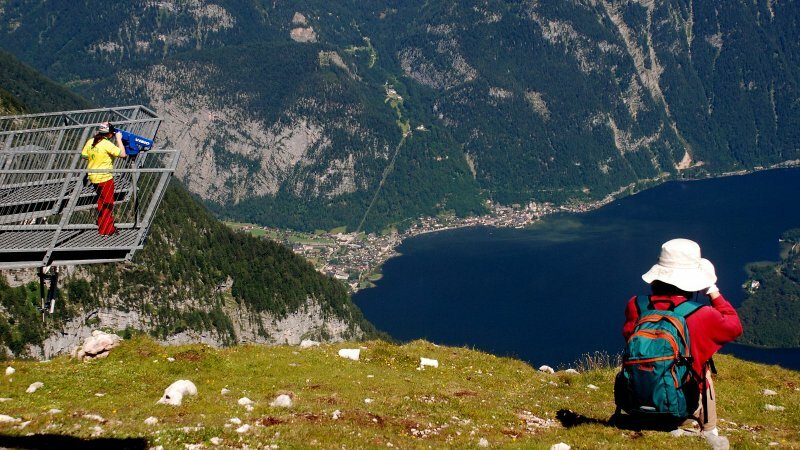 The surrounding nature reserve is part of "Natura 2000", the ecological network in the territory of the EU, and of World Heritage site "Hallstatt-Dachstein-Salzkammergut". 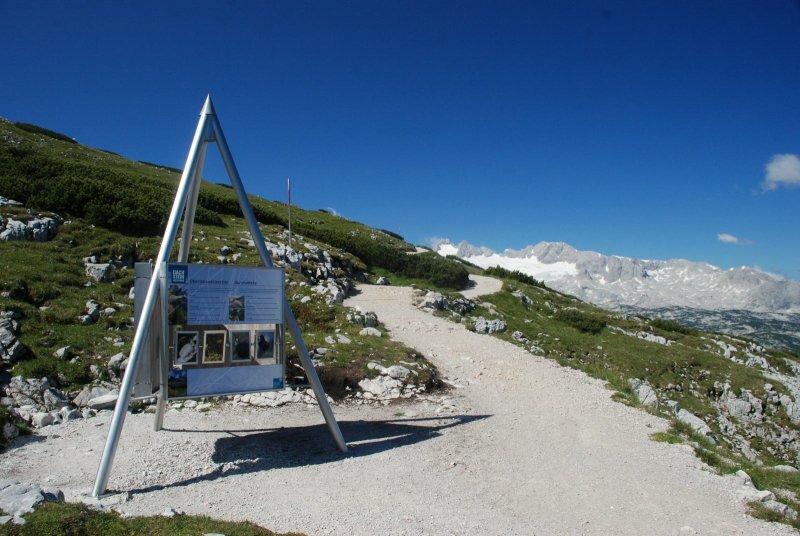 The convenient trail, 8 km long, is suitable for everyone and introduces to distinct local features via informative boards containing texts about geology, fauna and flora common to the plateau.